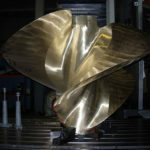 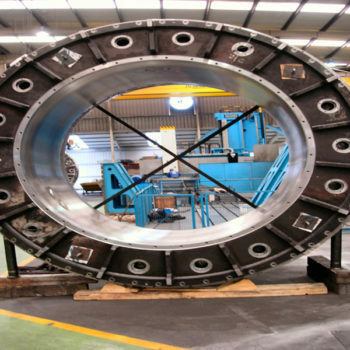 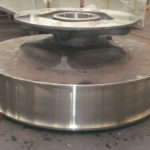 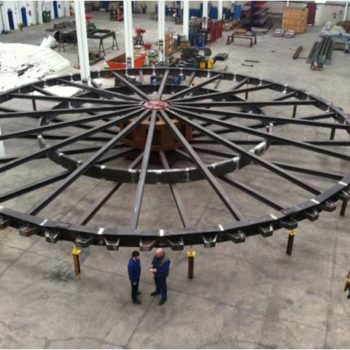 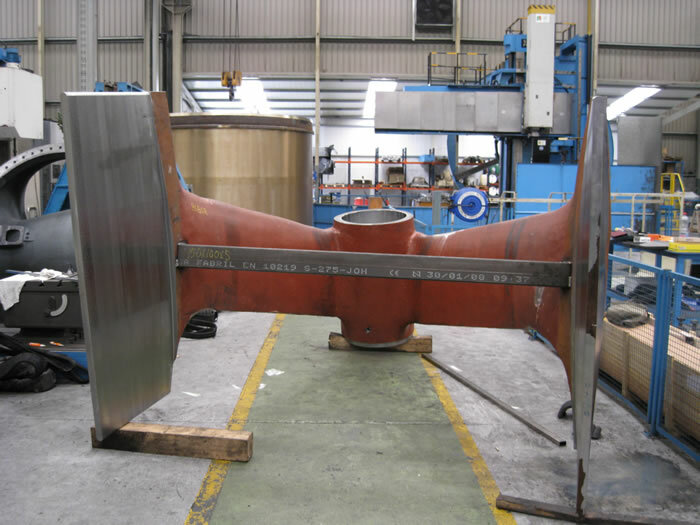 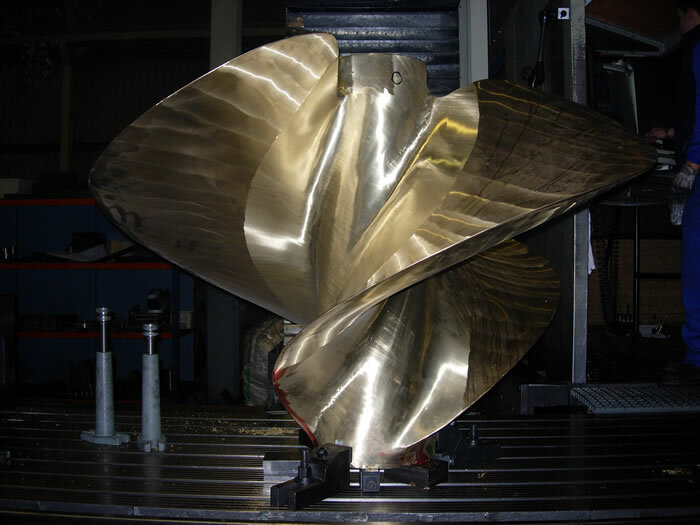 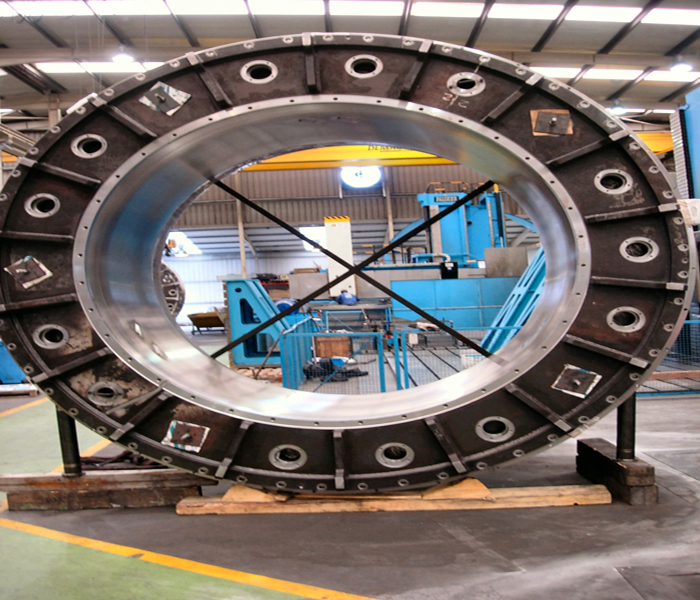 We have more than 16 years of proven experience in machining, surface treatment and metalwork of most of the components of the nacelle and other components of the wind turbine. 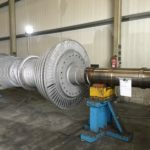 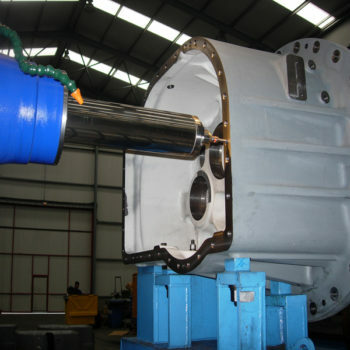 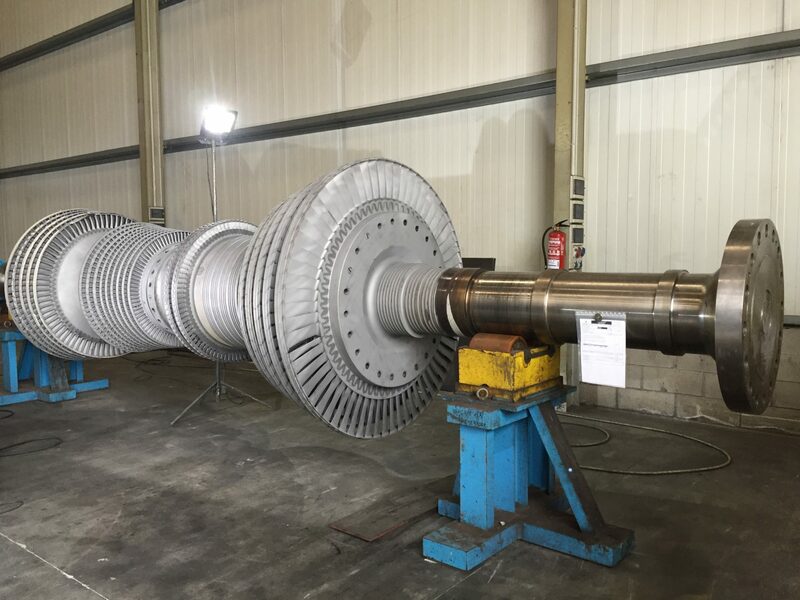 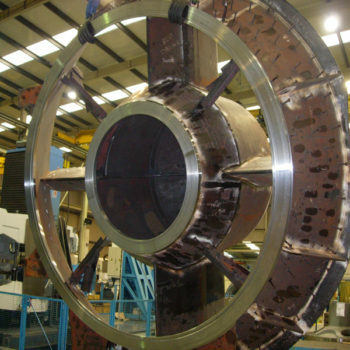 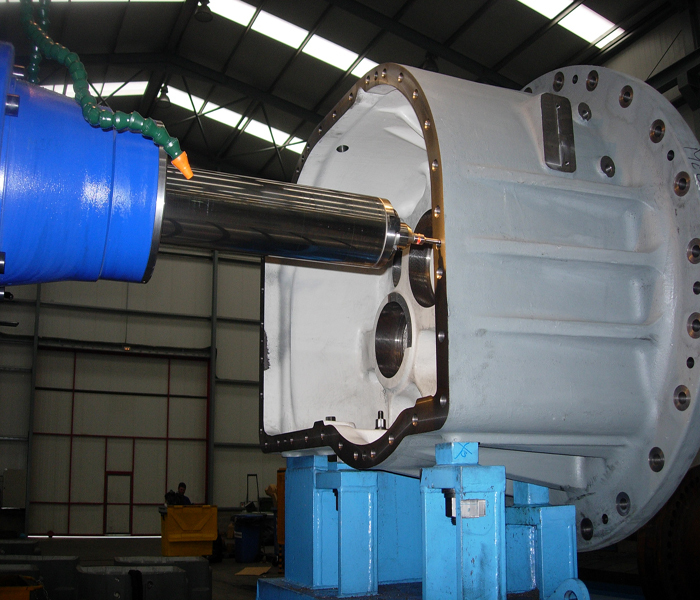 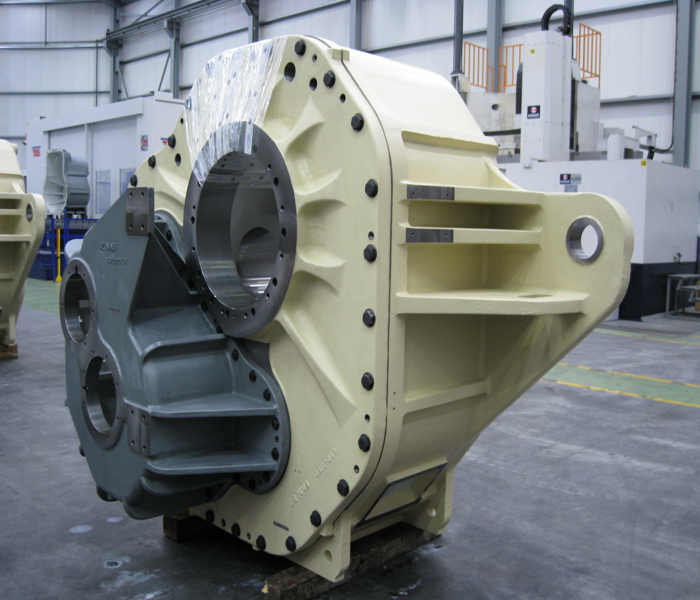 We offer our customers repair services for many different wind turbine components, highlighting the repair of gearboxes, main shafts, base frames and hubs. 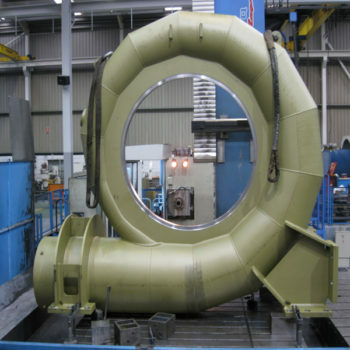 IIn Acebron Group we have the know-how, production means and approvals to address the manufacturing of components of offshore wind turbines. 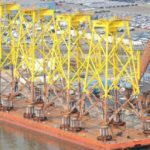 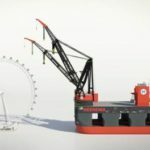 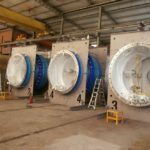 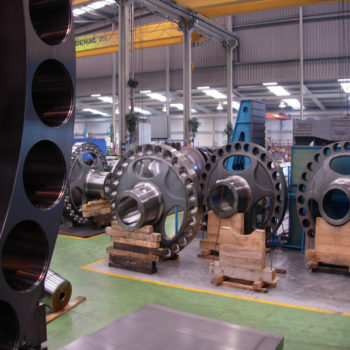 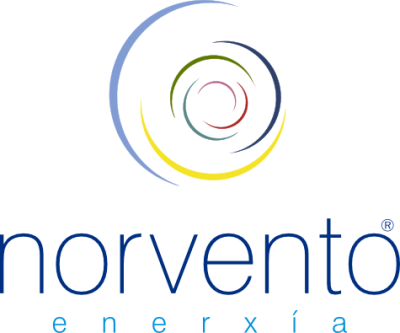 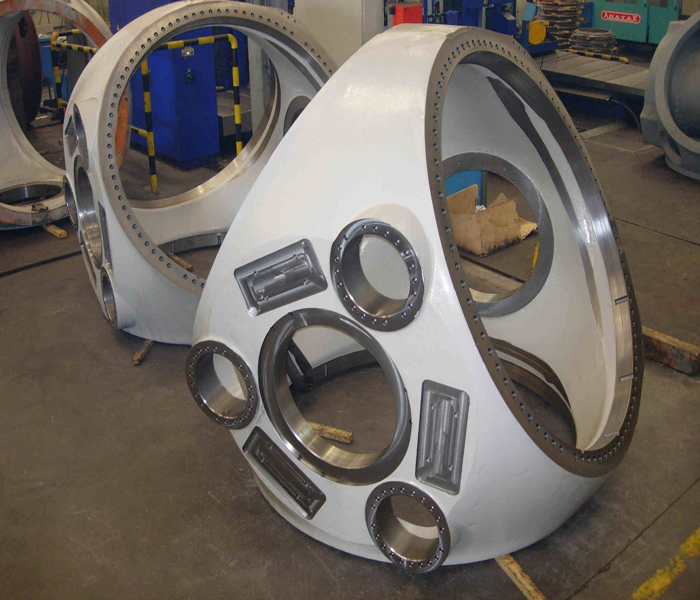 Among others, we have been part of important offshore projects such as Hywind or East Anglia One in which we have participated in the machining and manufacturing of different components for the support of wind turbines (jackets and monopilots – floating structures). 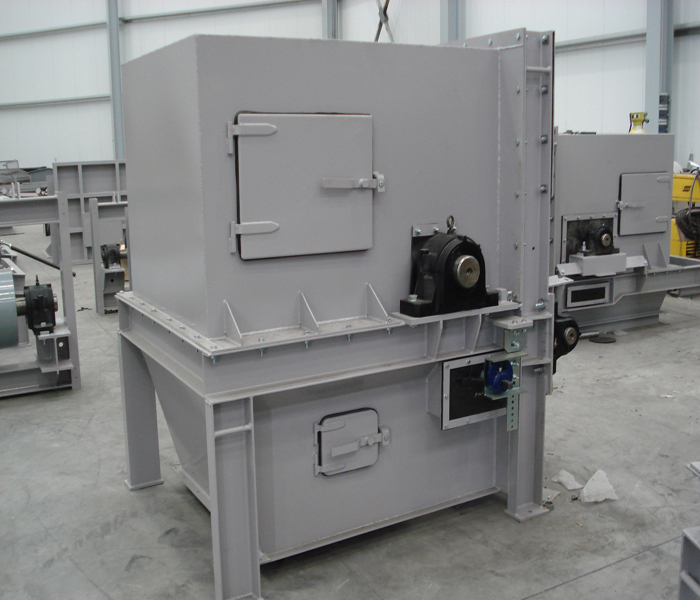 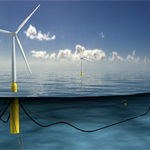 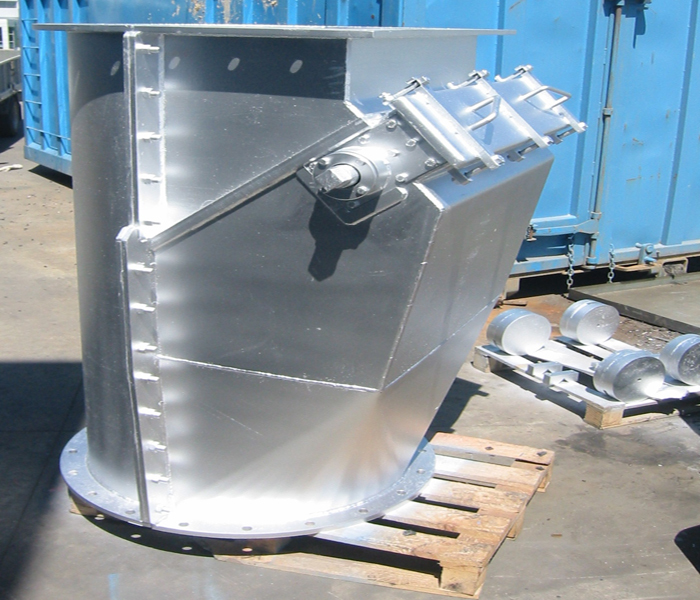 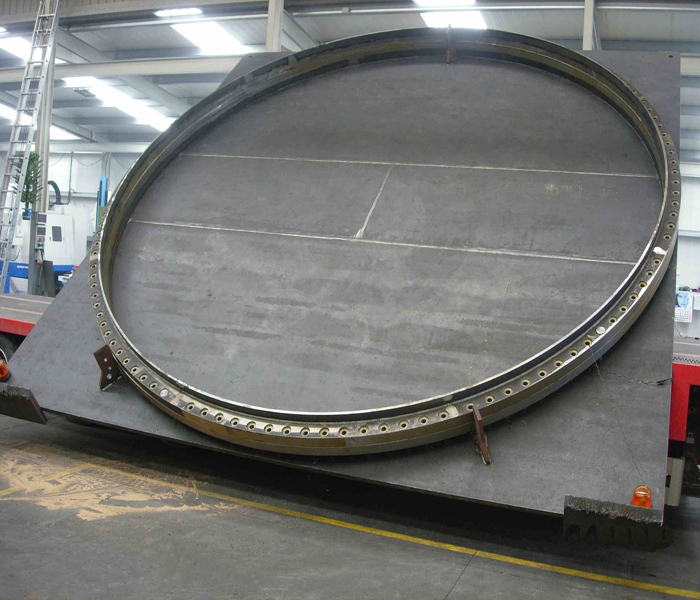 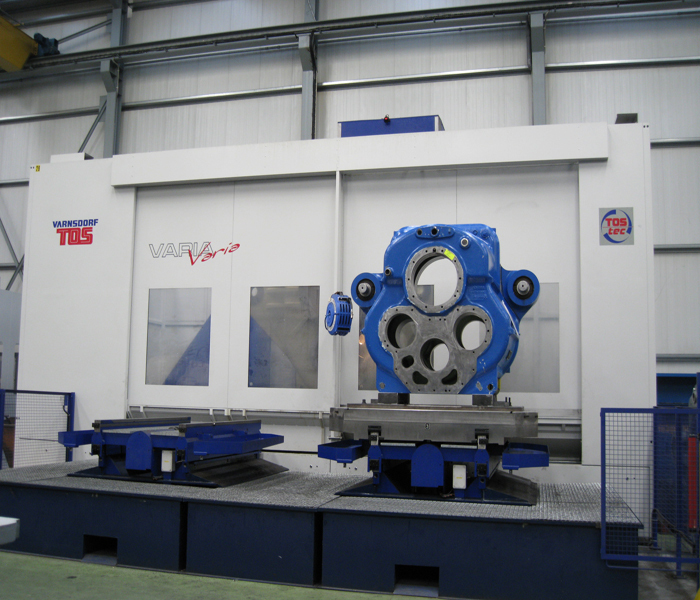 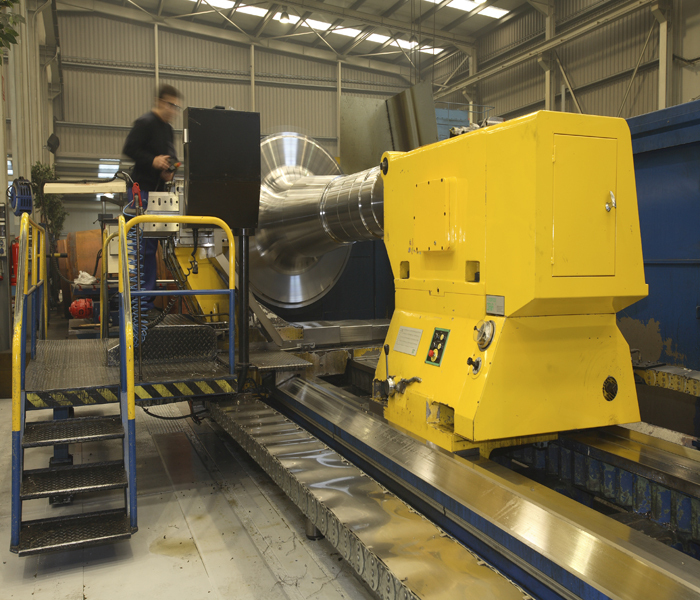 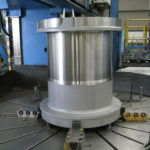 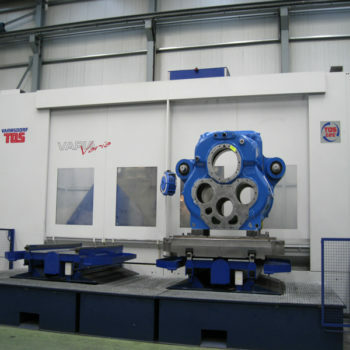 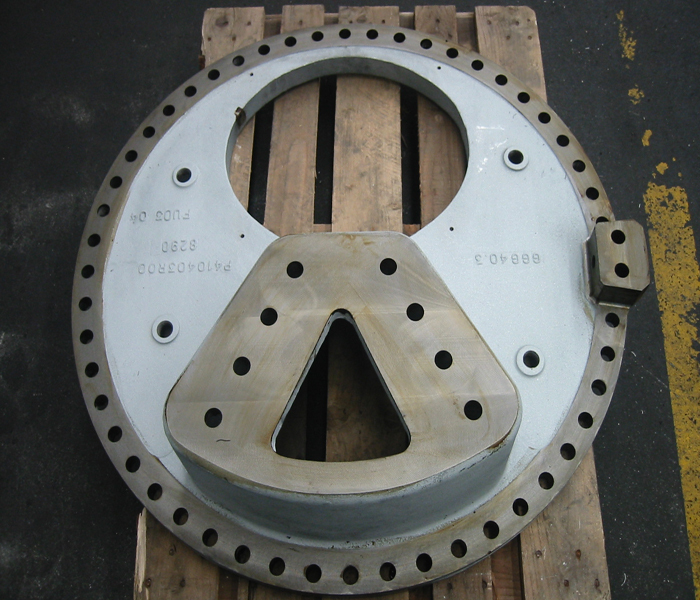 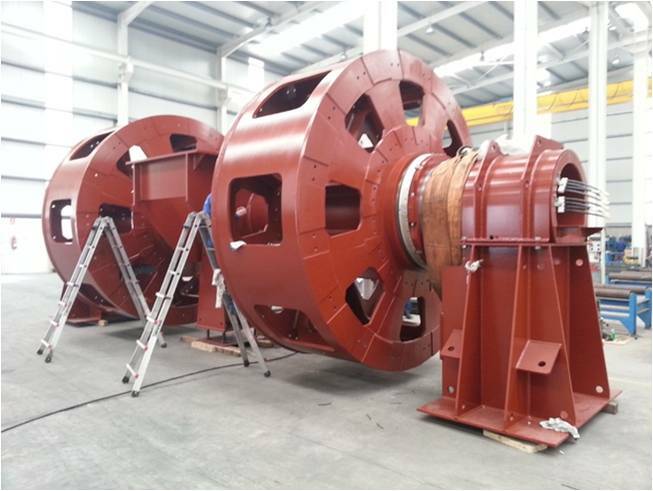 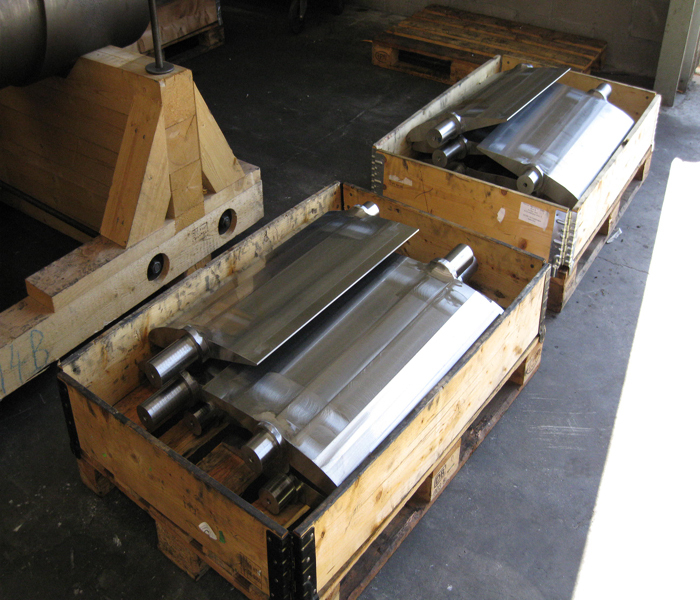 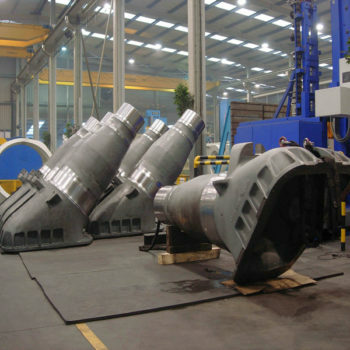 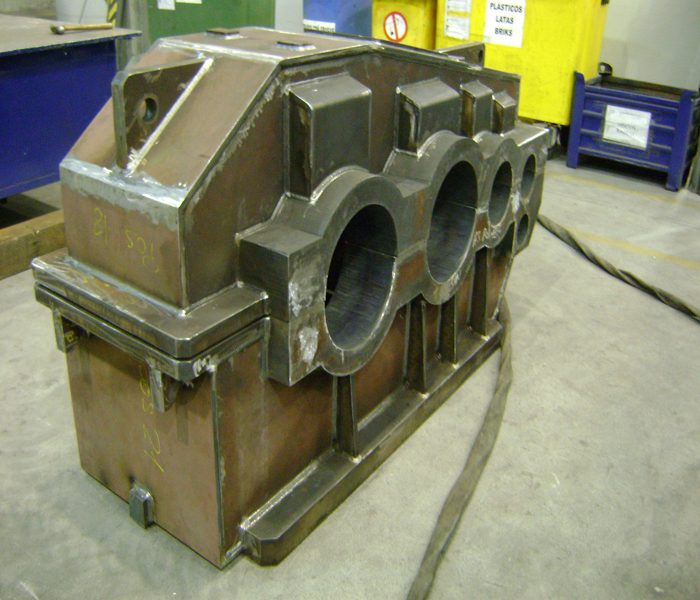 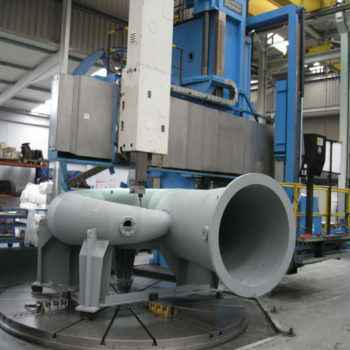 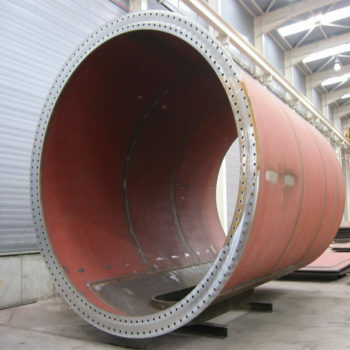 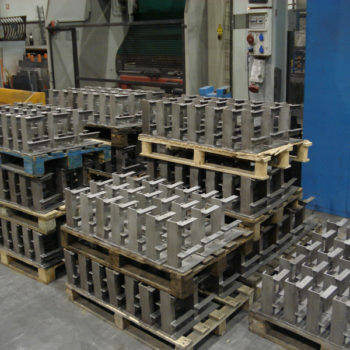 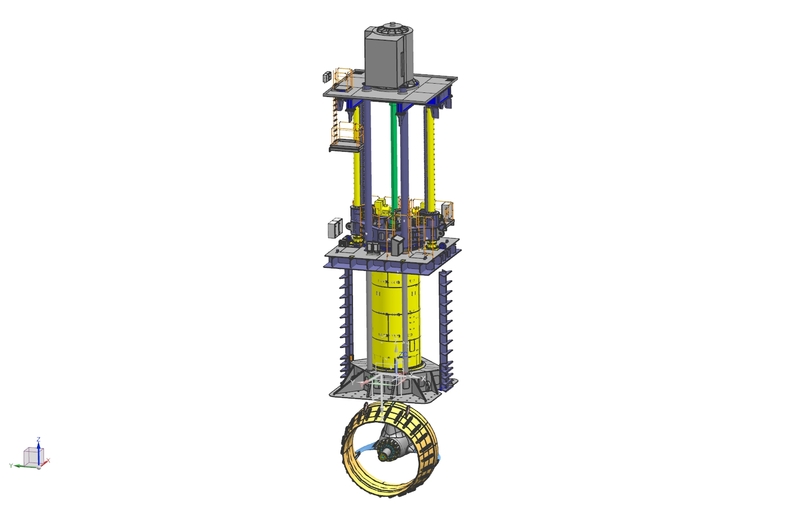 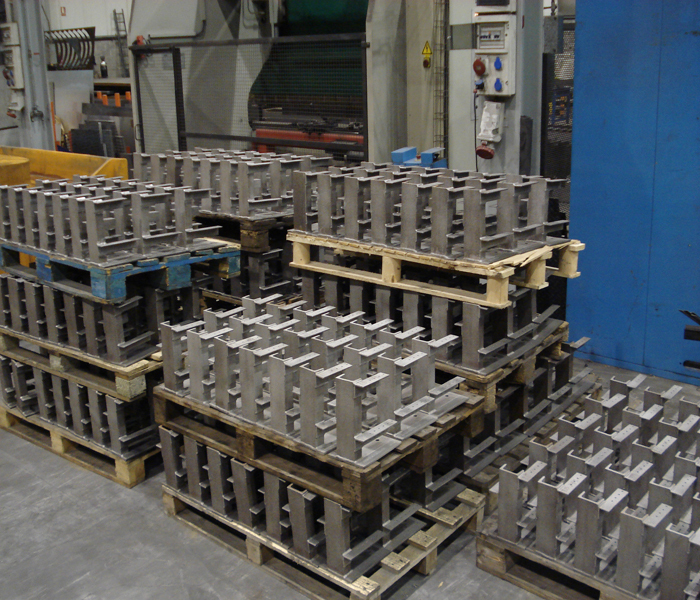 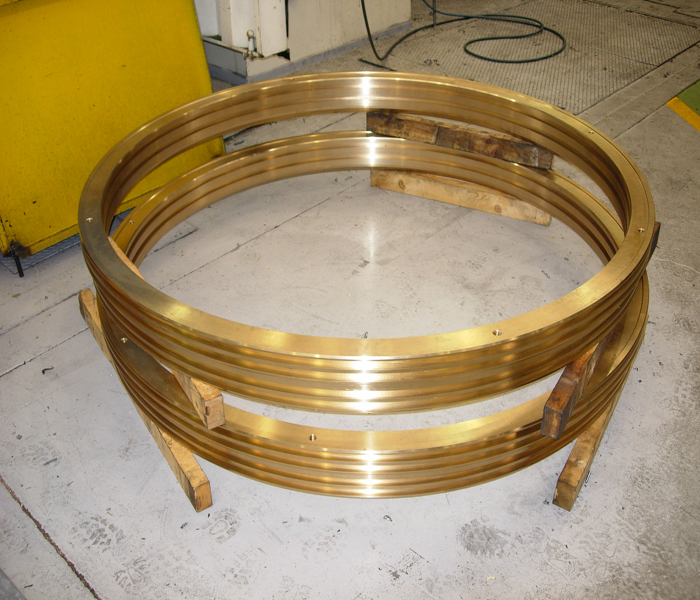 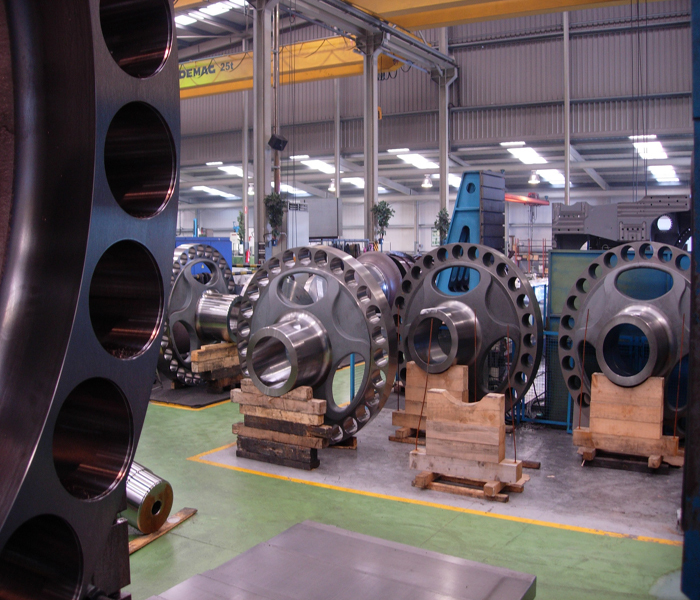 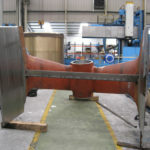 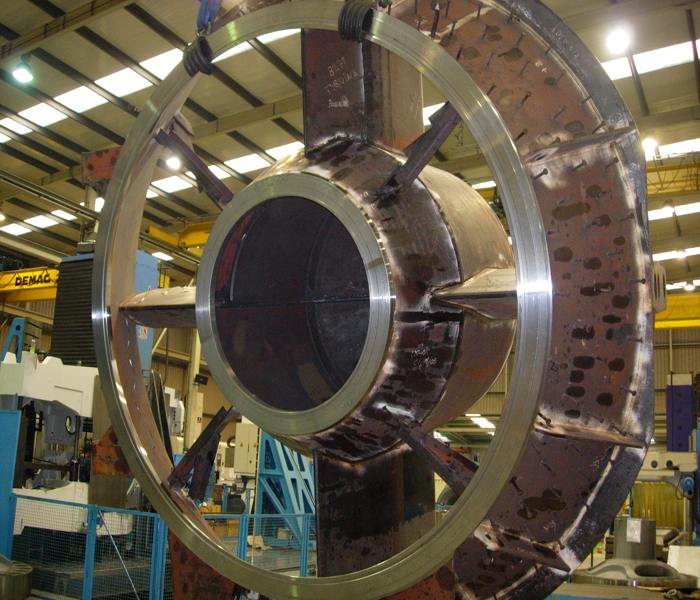 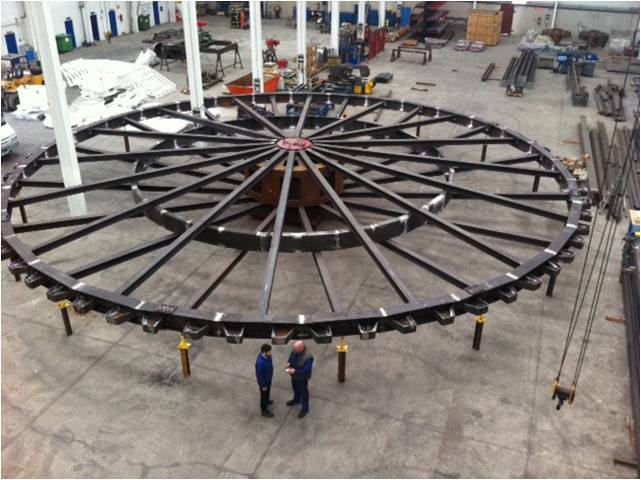 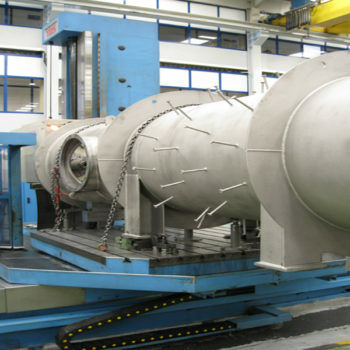 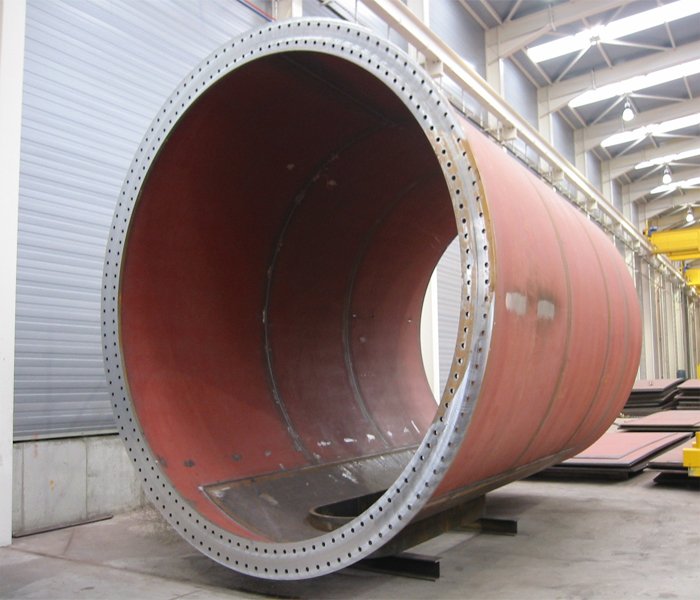 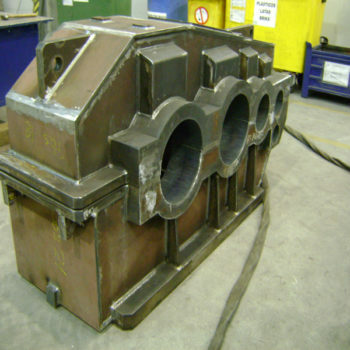 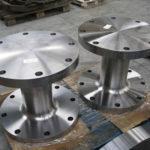 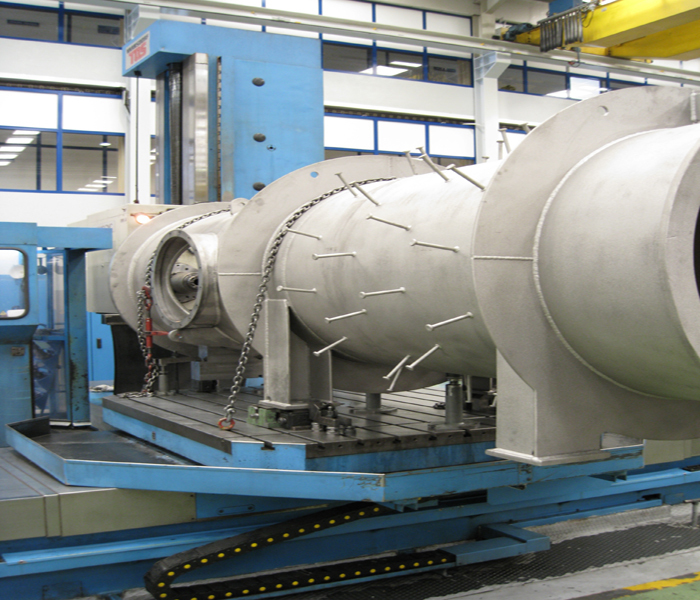 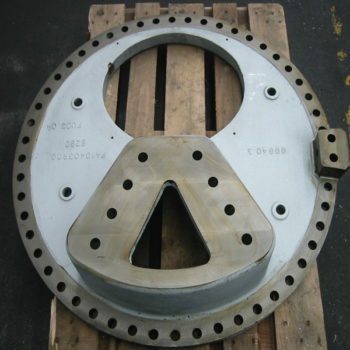 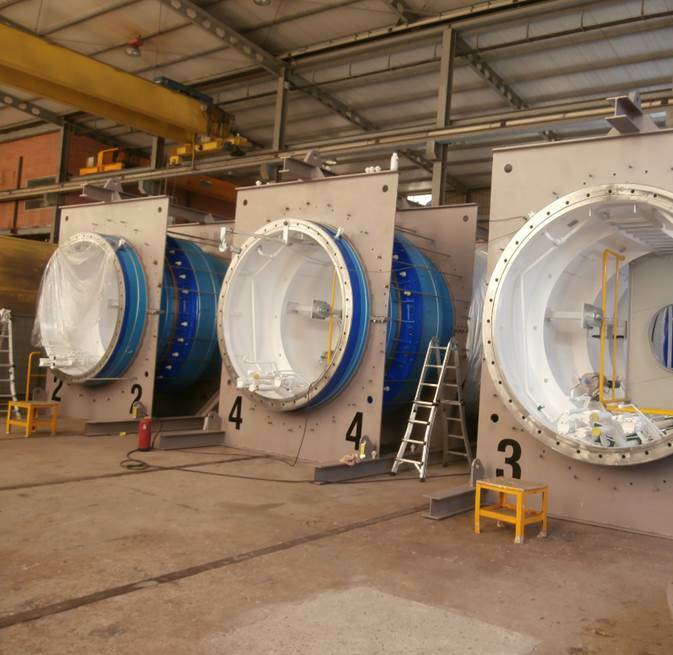 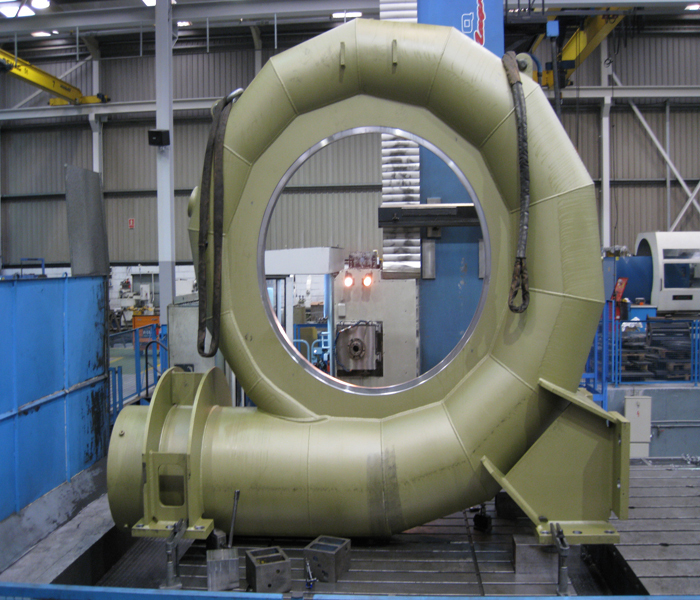 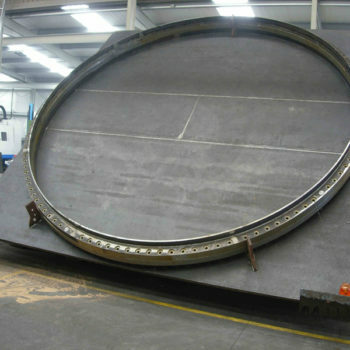 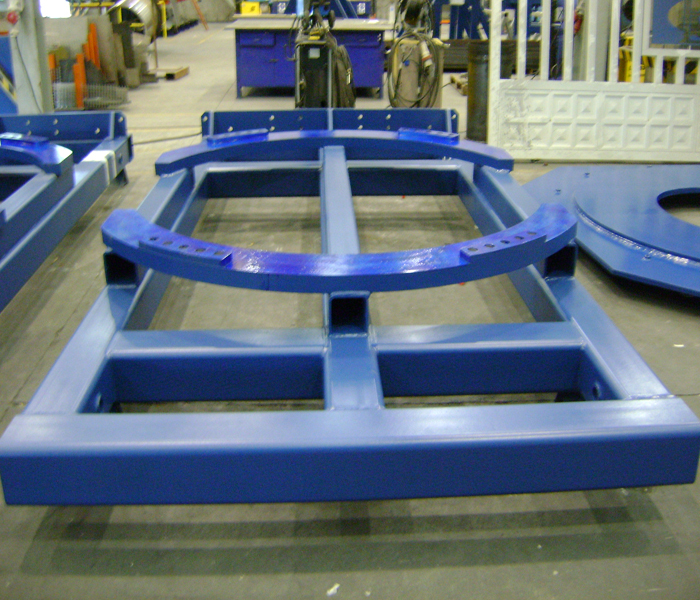 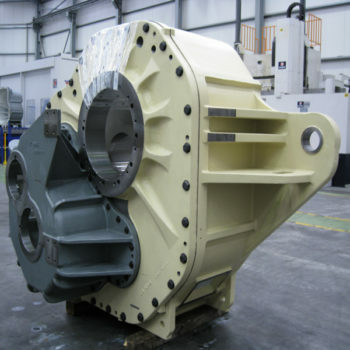 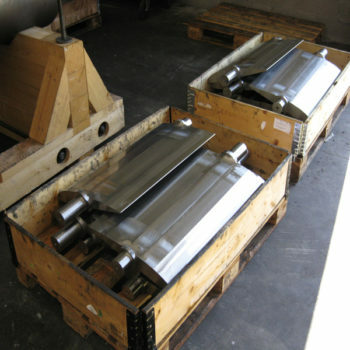 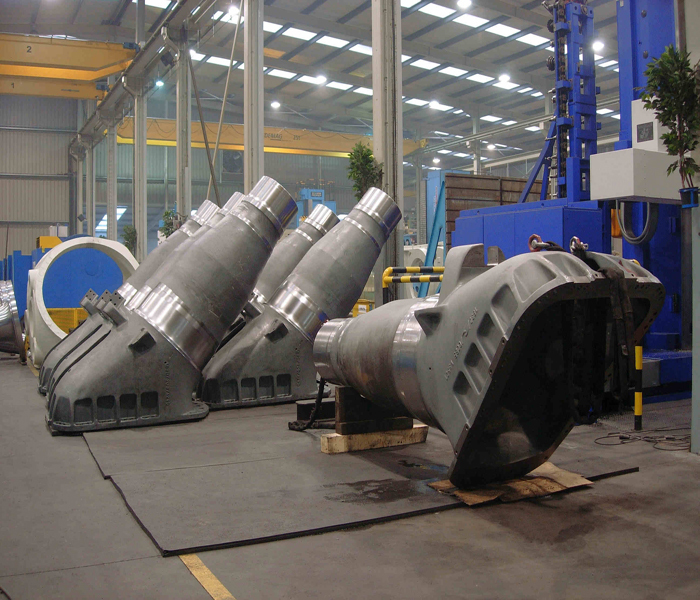 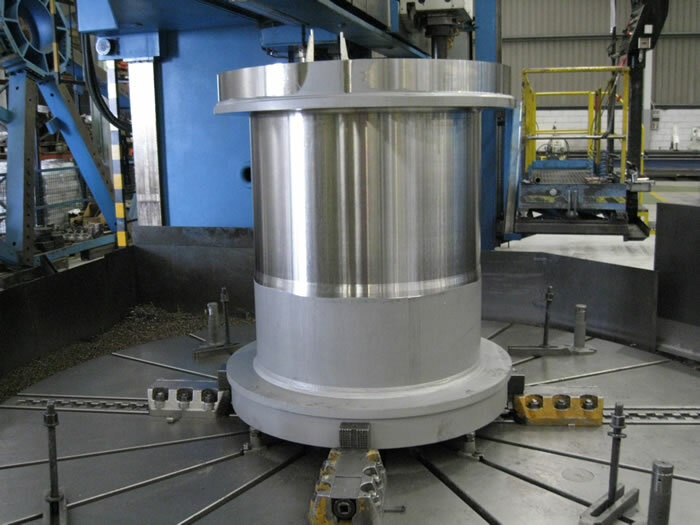 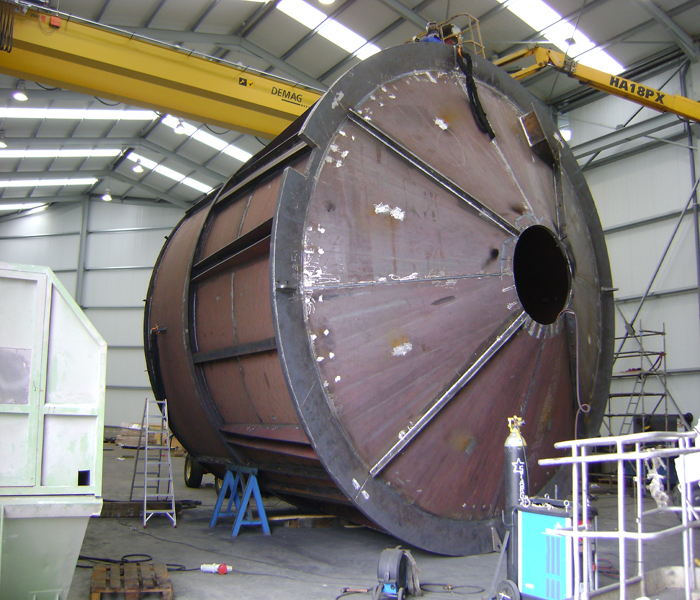 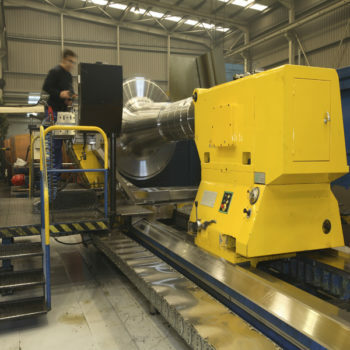 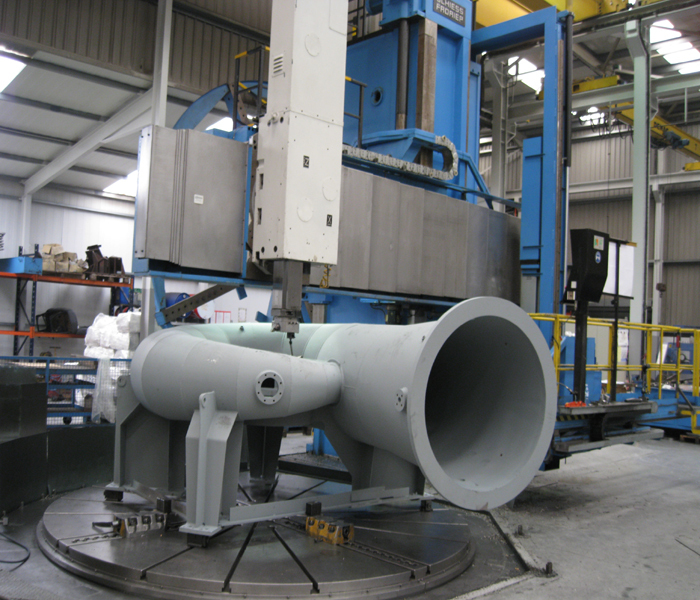 We have also manufactured various tools for the assembly plants of offshore wind turbines. 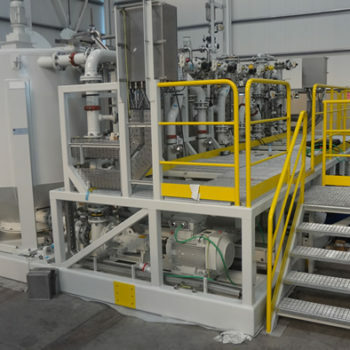 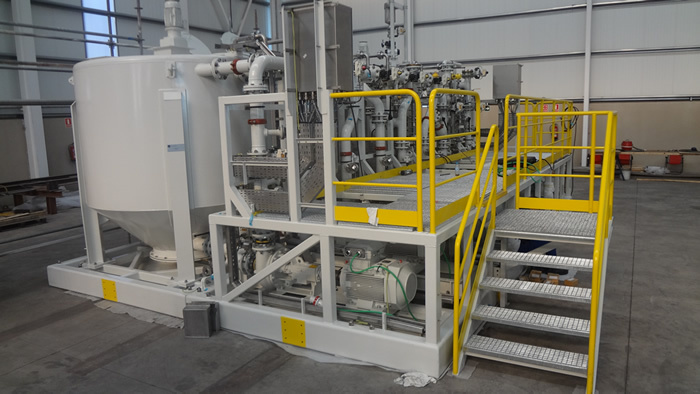 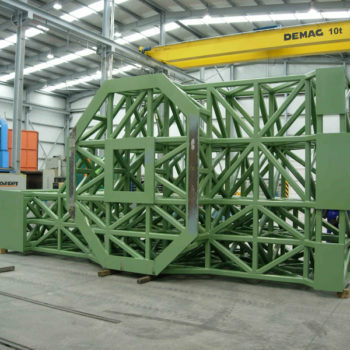 For the OIL & GAS sector we have carried out the following tasks: Complete manufacturing and pre-assembly of equipment for oil rig. 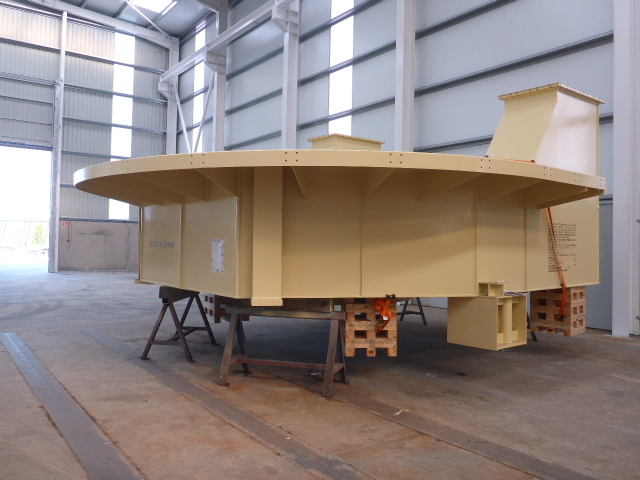 Within the requirements of the sector in the French market, it should be noted that our painters are certified according to ACQPA. 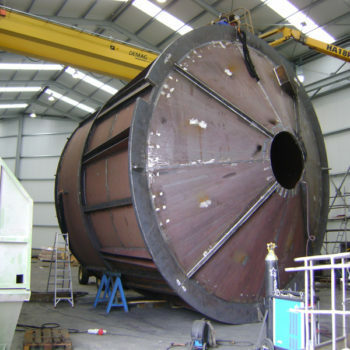 Our experience of more than 16 years in the naval sector endorses us as reference suppliers. 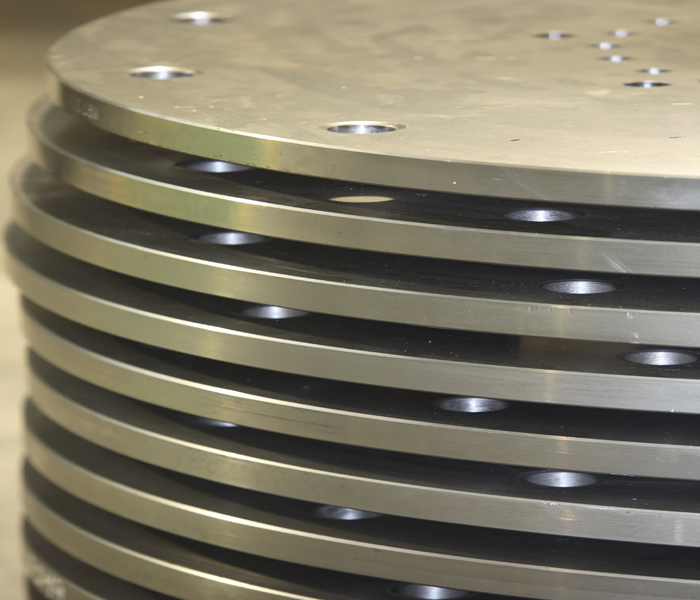 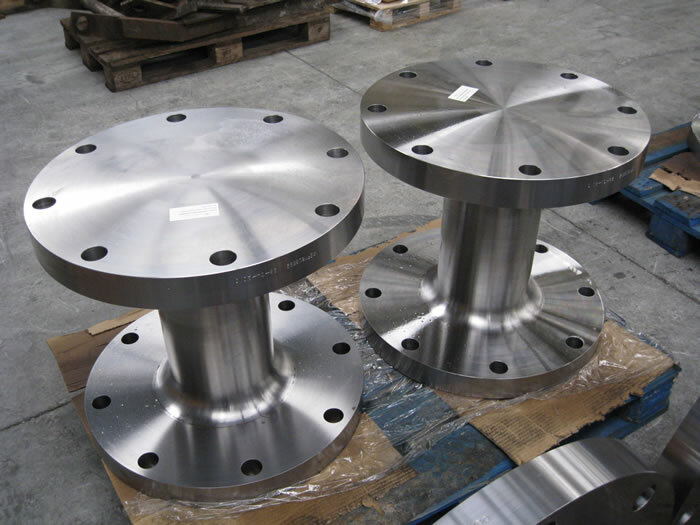 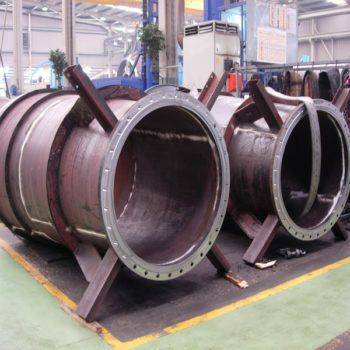 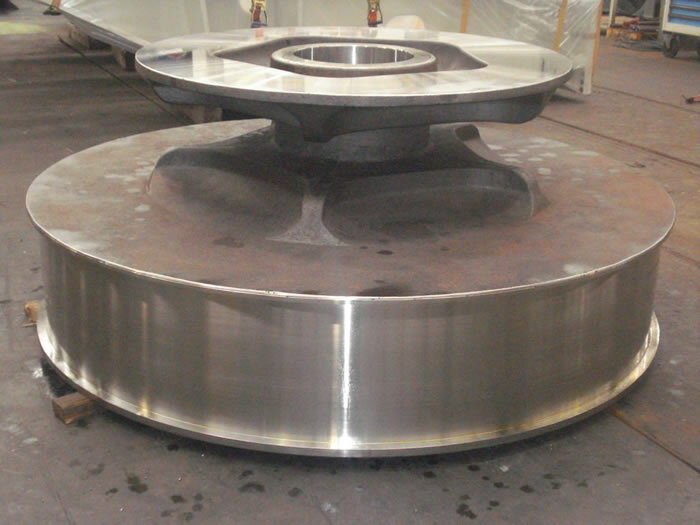 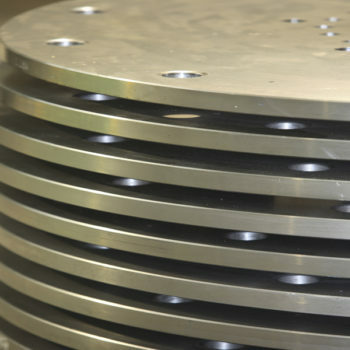 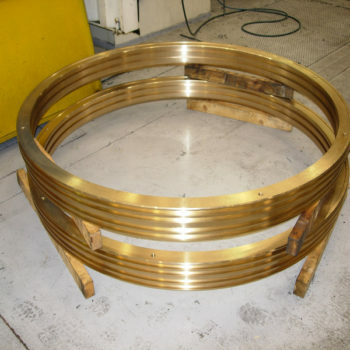 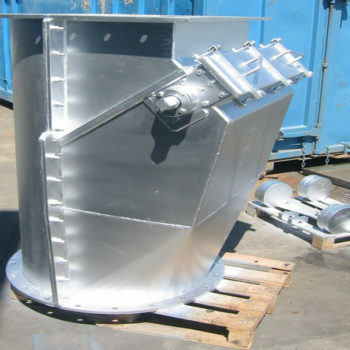 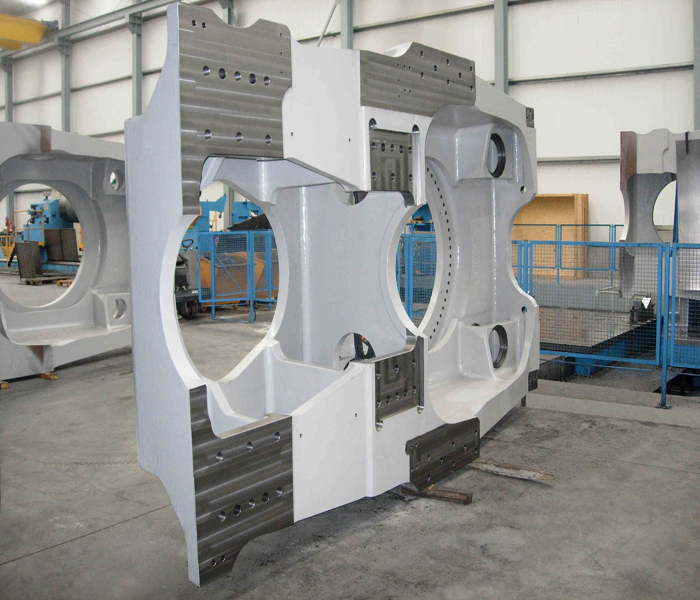 We are specialized in the manufacture of components of medium and large dimensions for deck machinery, propulsion parts and other types. 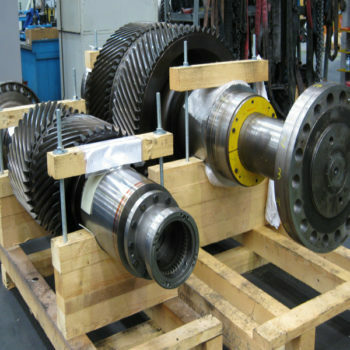 Supply of mechanized intermediate shafts. 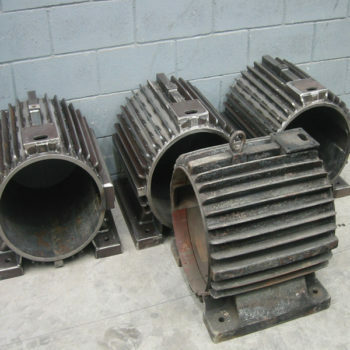 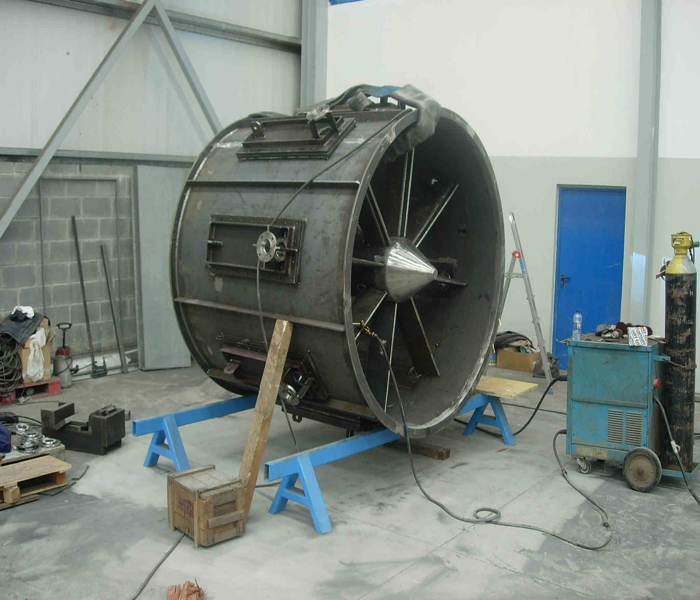 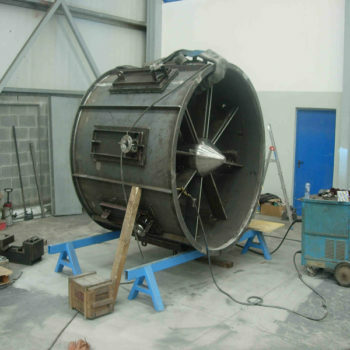 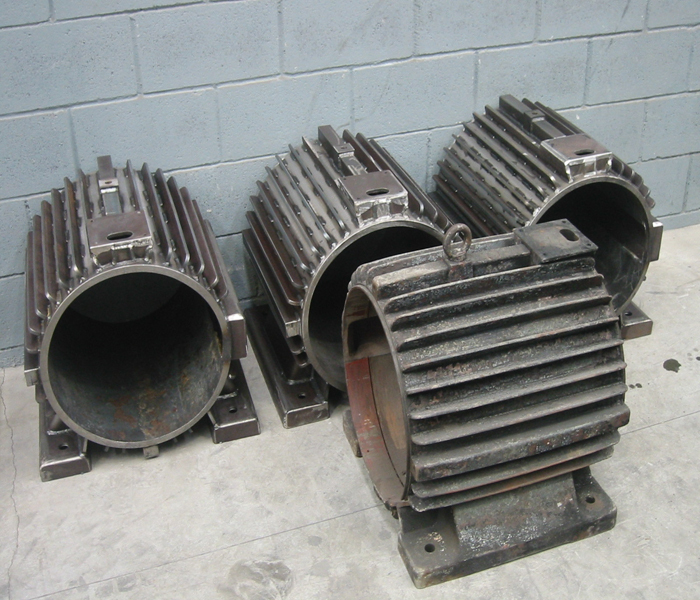 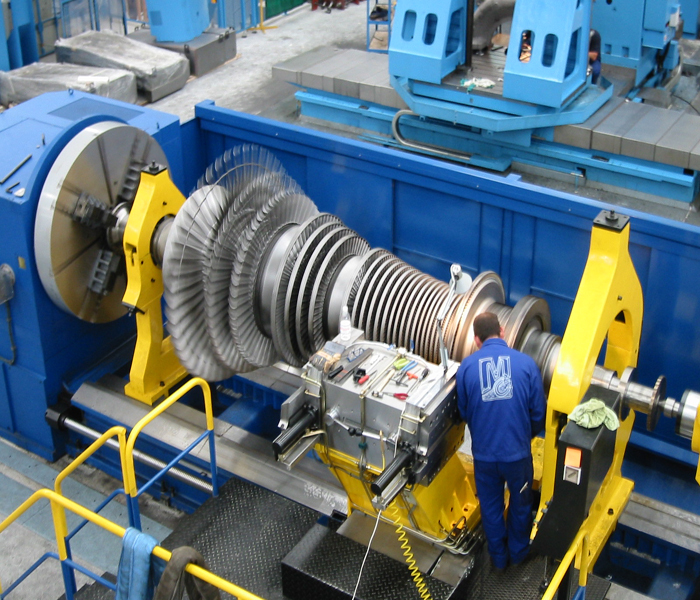 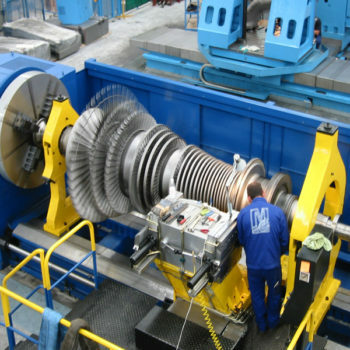 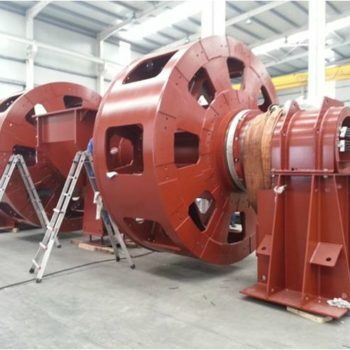 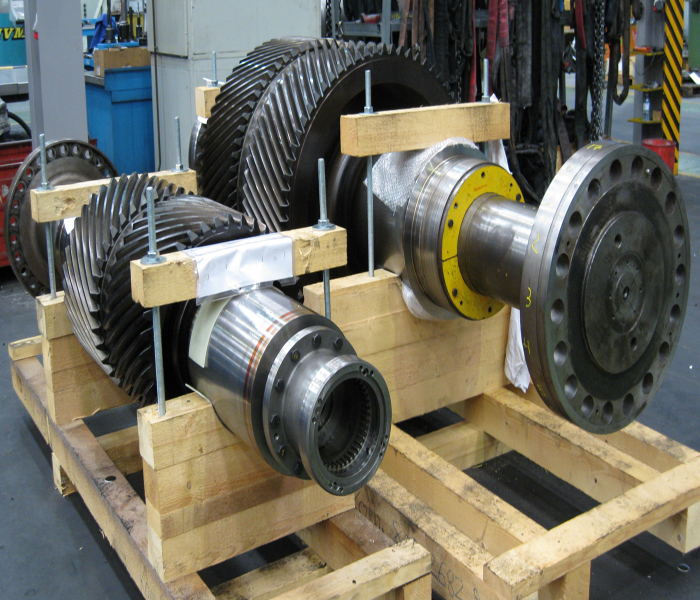 In the repairs section, it is worth mentioning the works addressed in the repair of turbines. 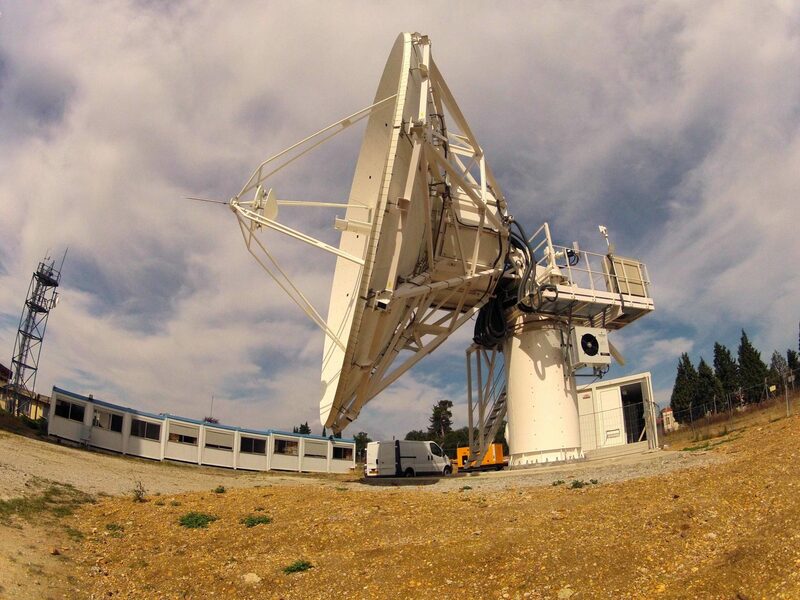 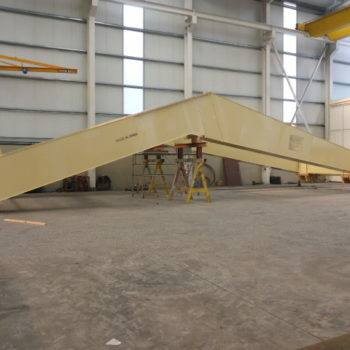 We are manufacturers of terrestrial antennas for military and telecommunications use of type Ka of 6.5 m, 9.3 m and 13 m.
Our productive means allow us to deal with complete manufacturing projects of large equipment such as ship loaders and transport belt structures. 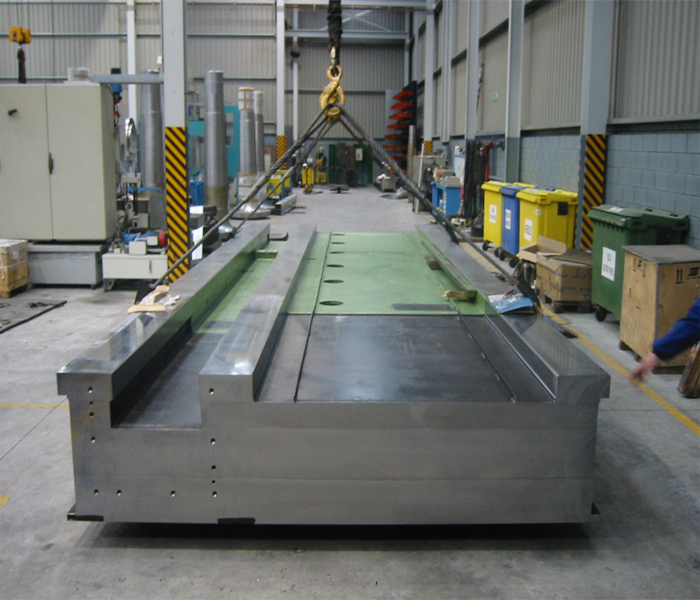 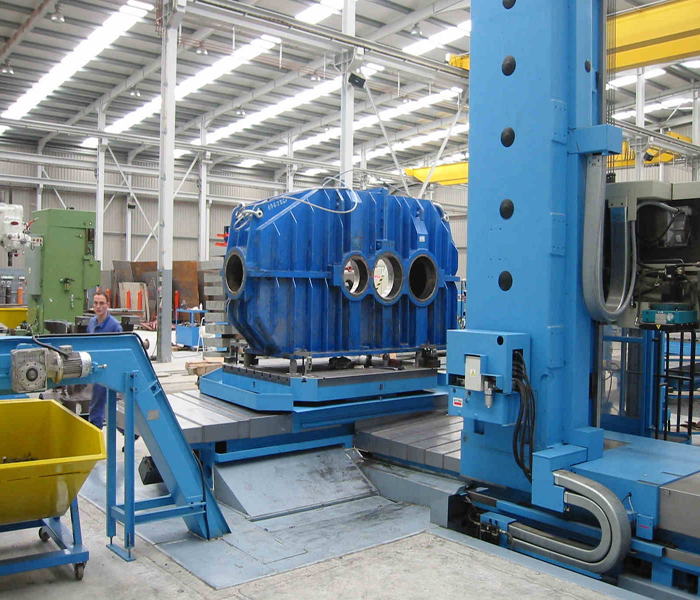 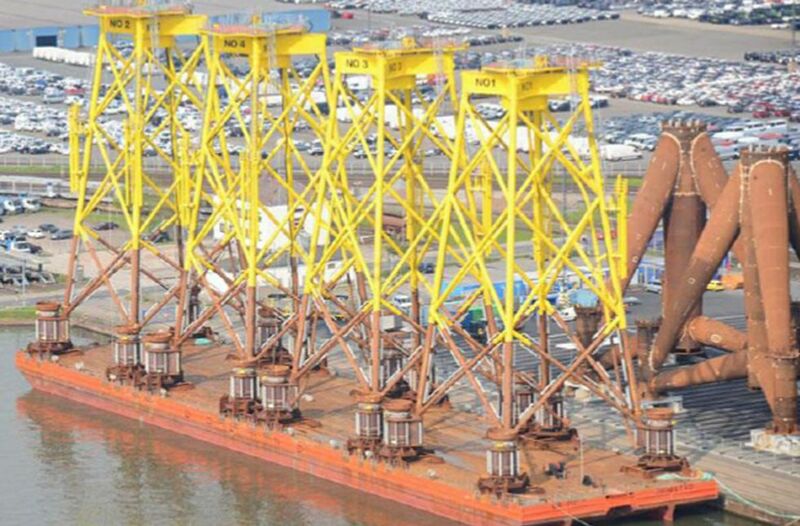 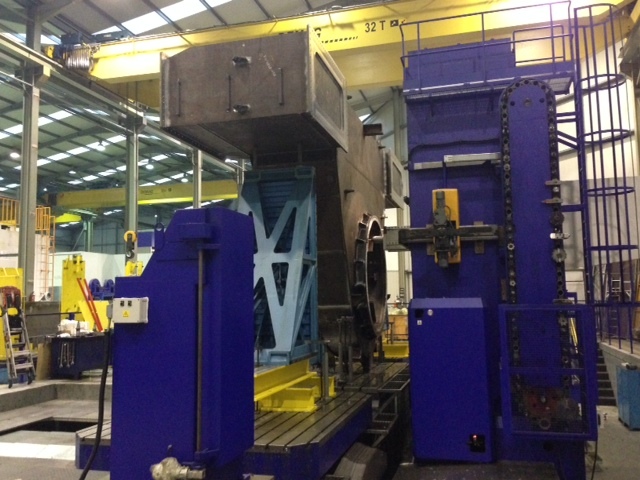 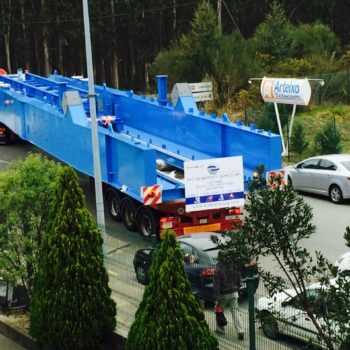 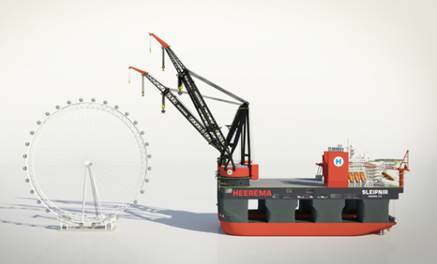 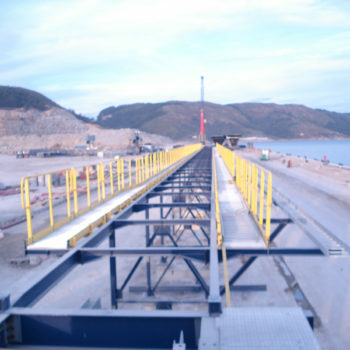 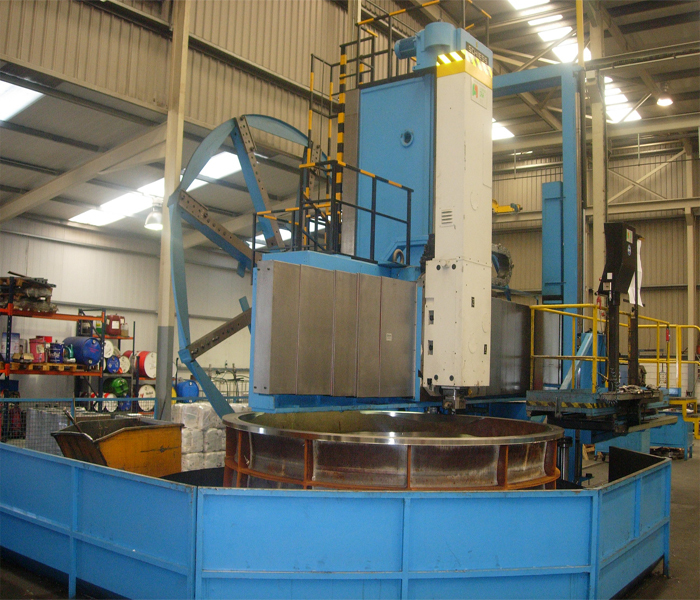 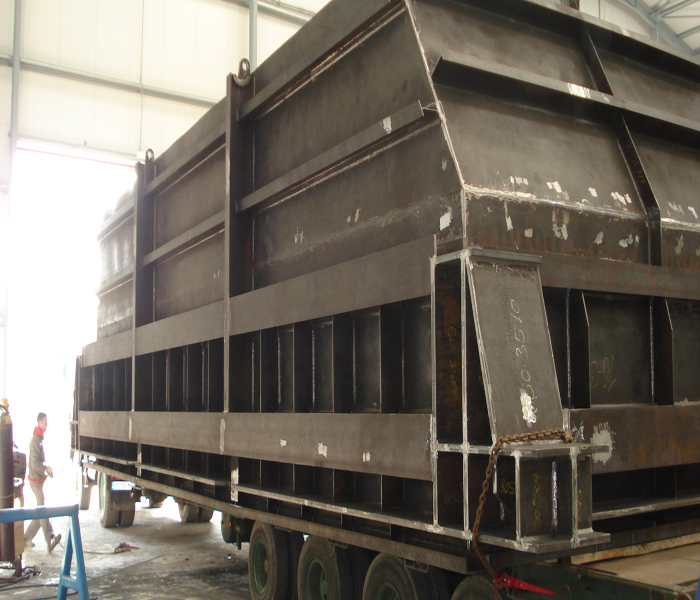 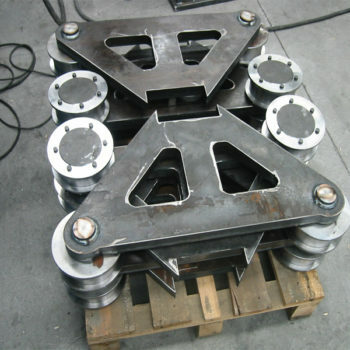 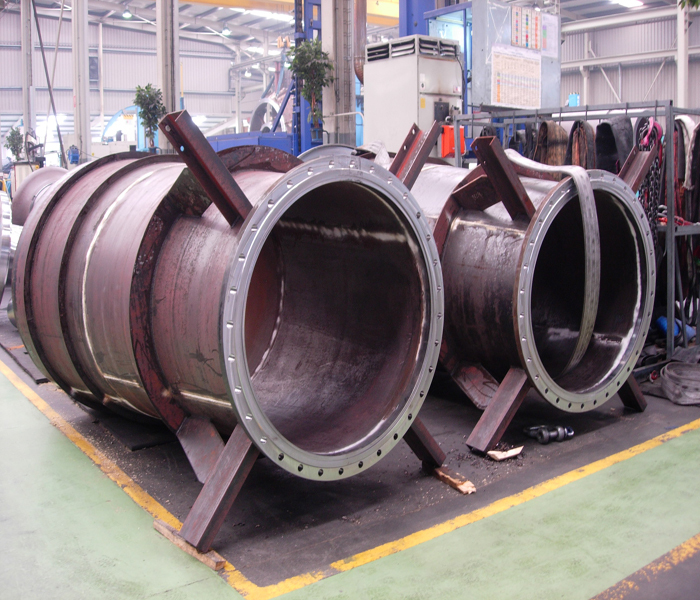 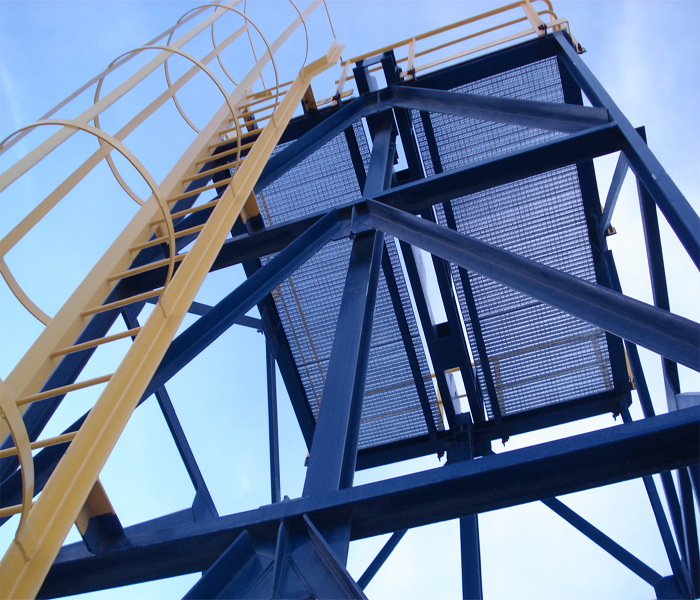 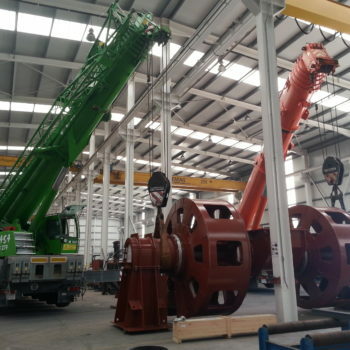 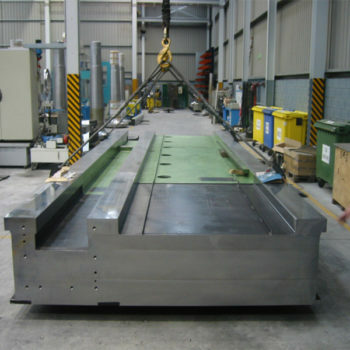 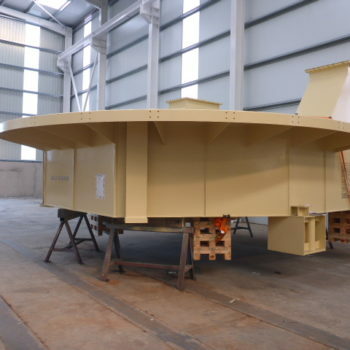 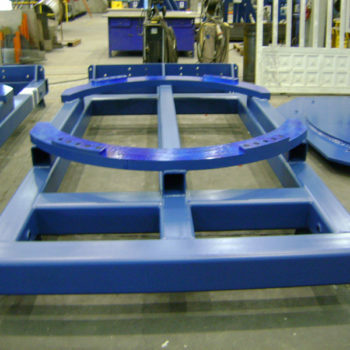 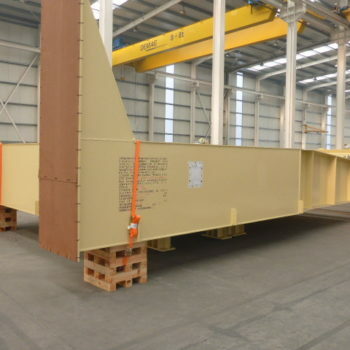 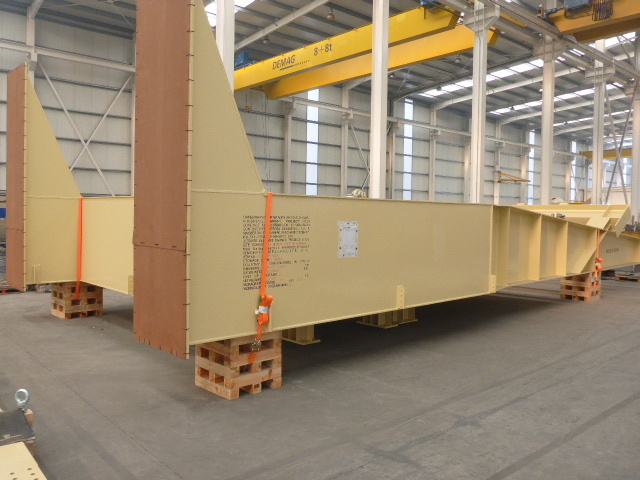 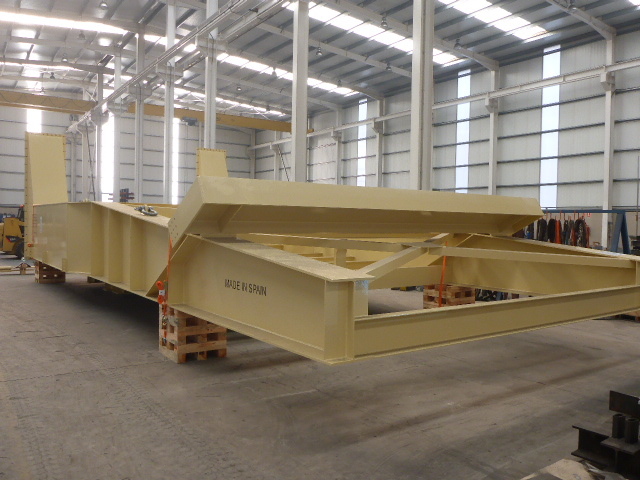 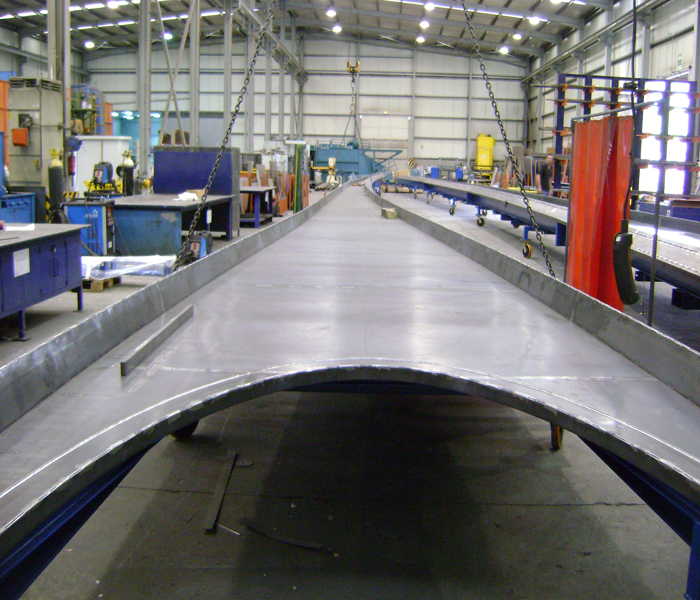 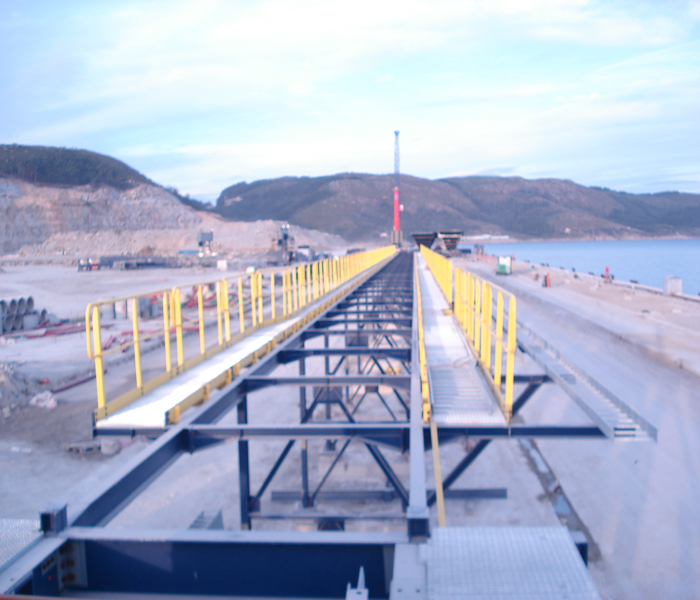 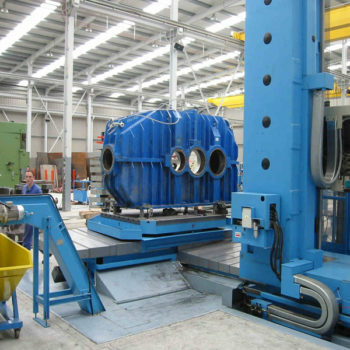 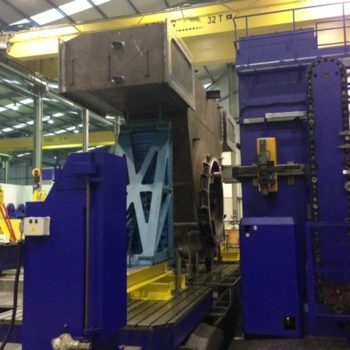 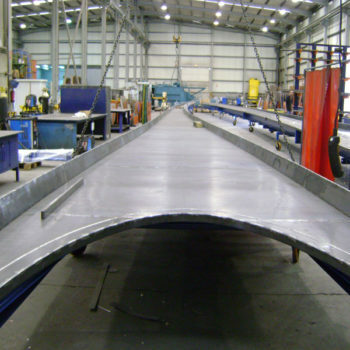 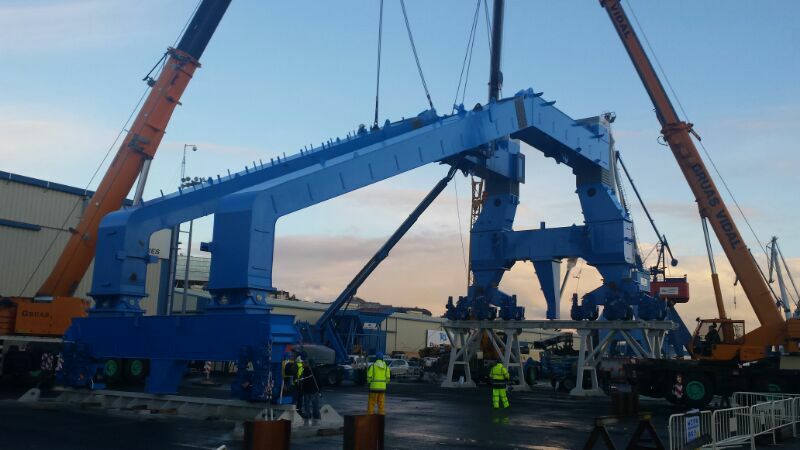 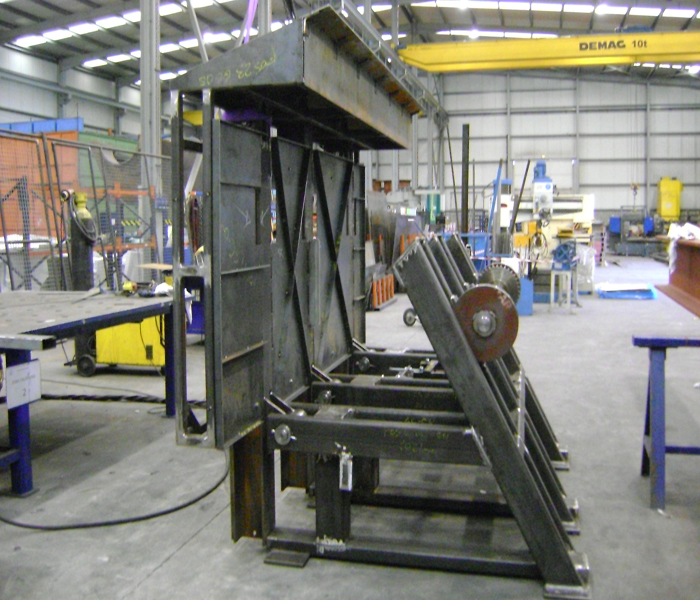 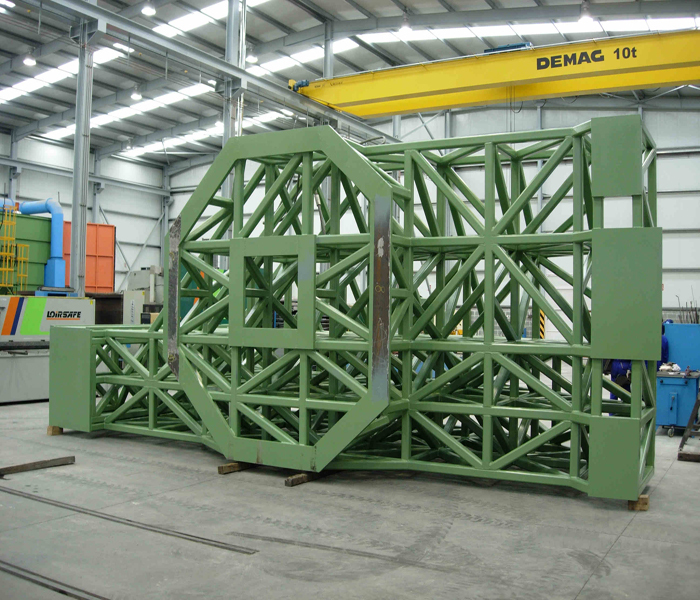 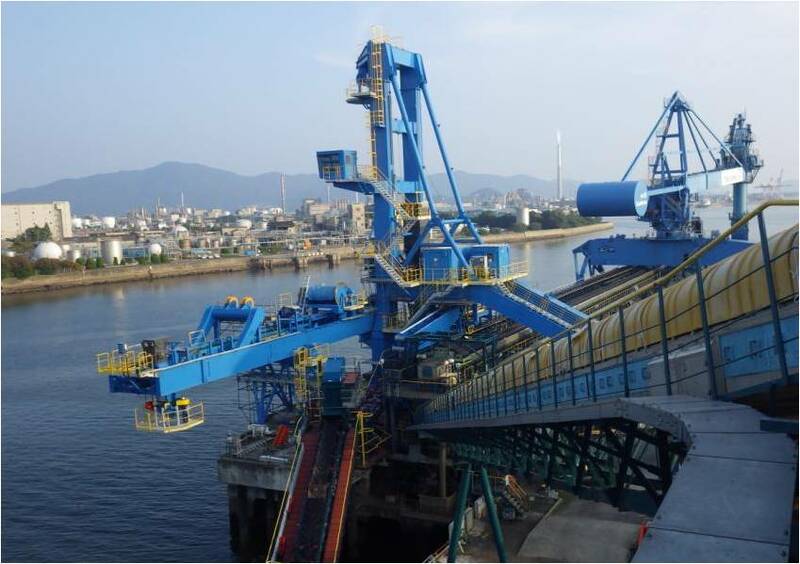 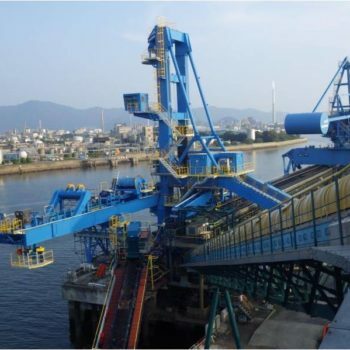 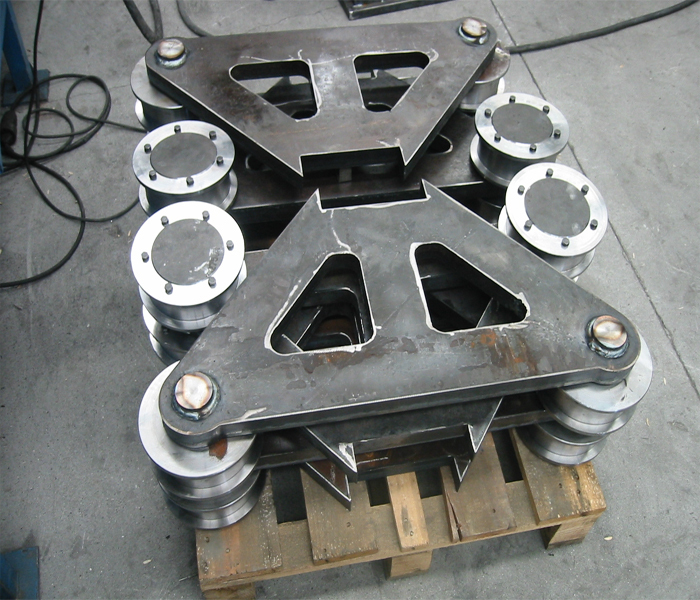 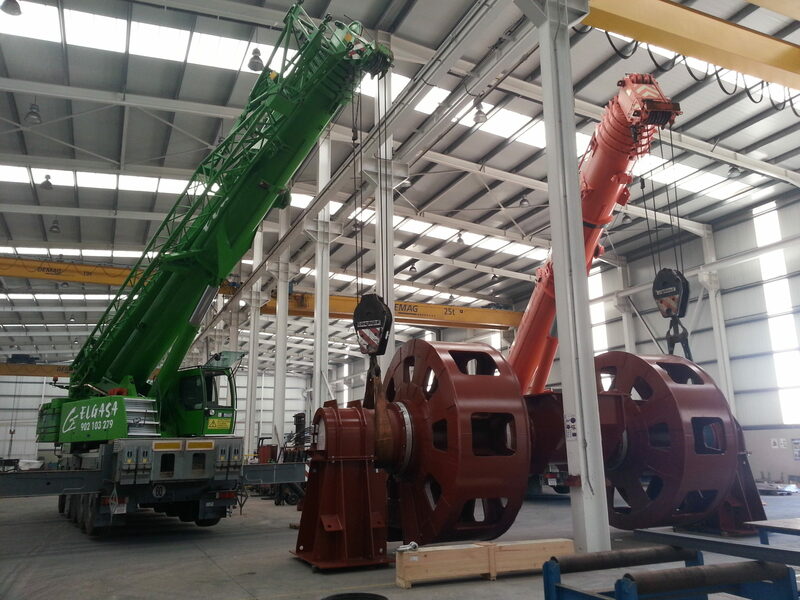 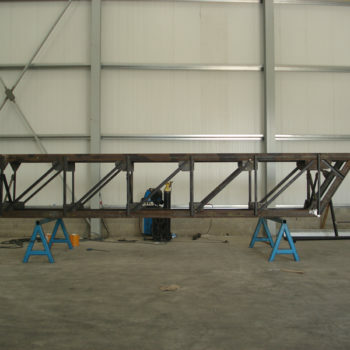 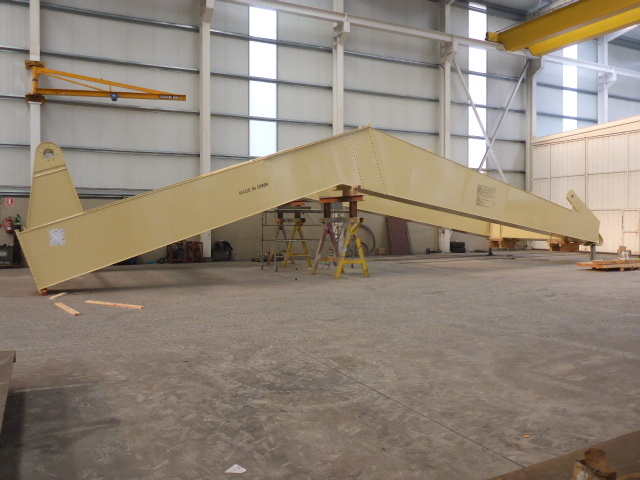 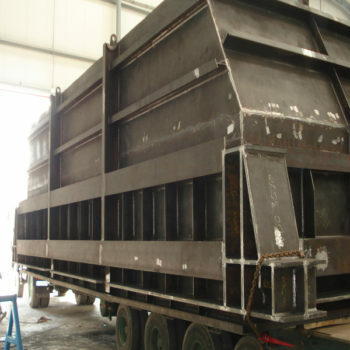 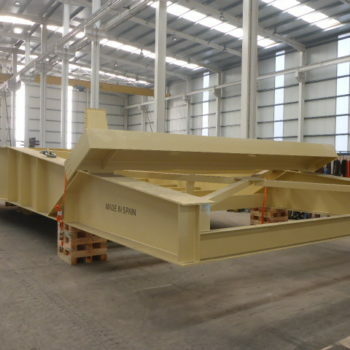 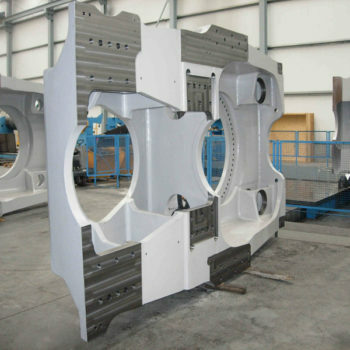 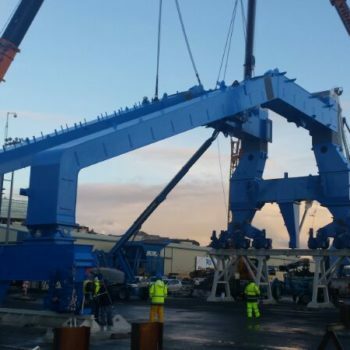 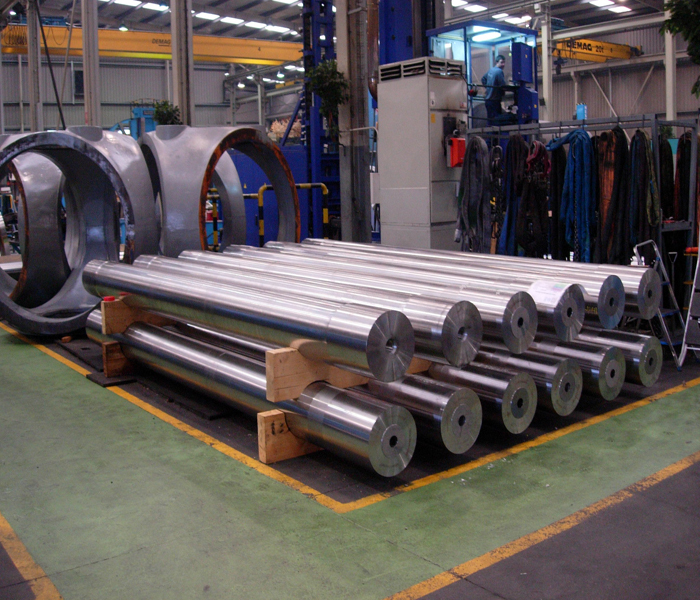 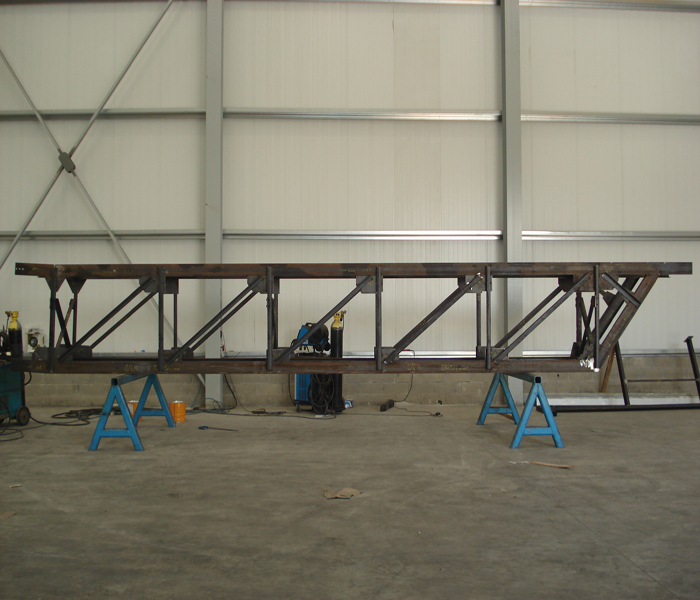 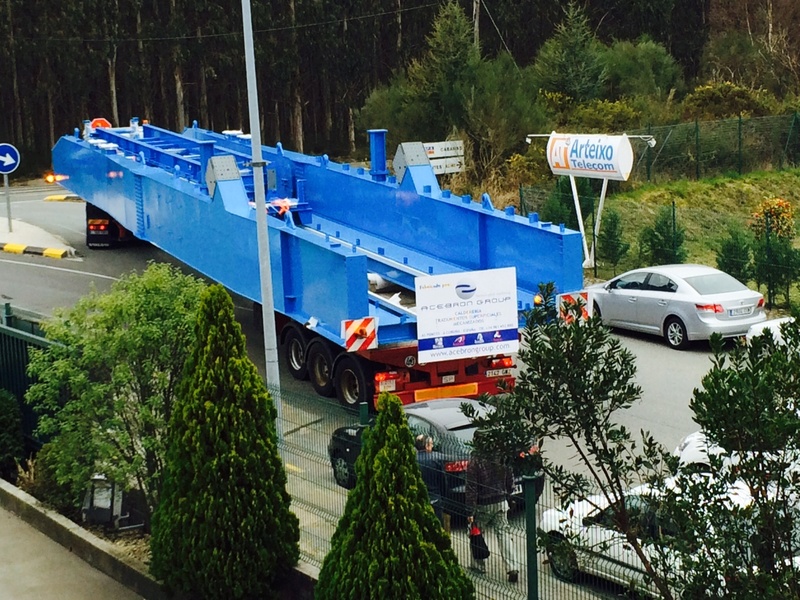 Manufacture of legs, gantry, mast and counterweight of a Shiploader. 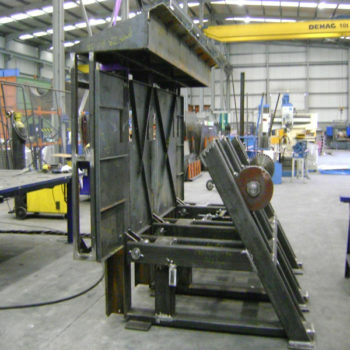 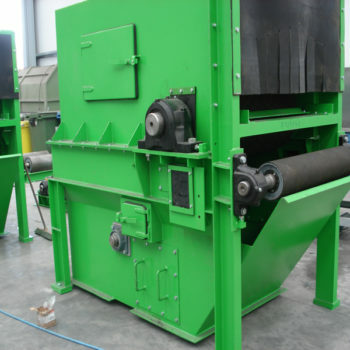 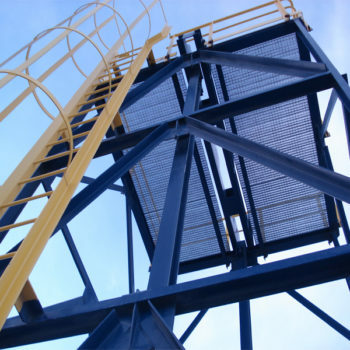 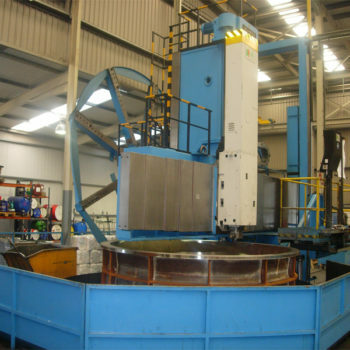 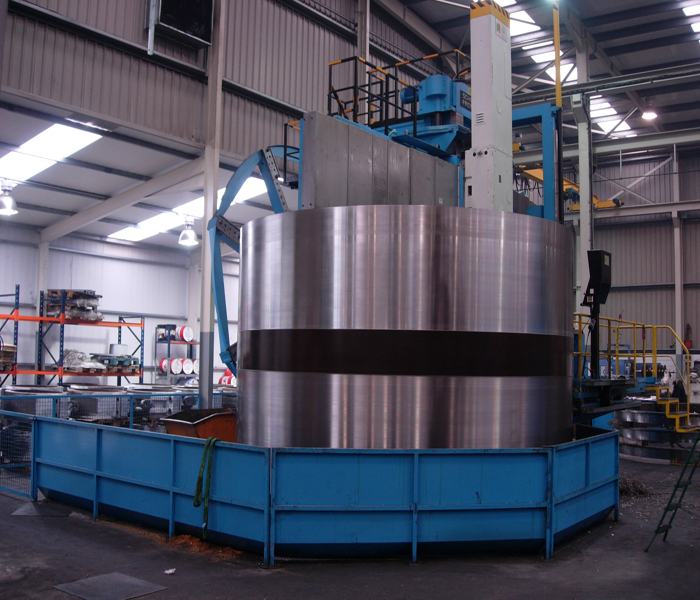 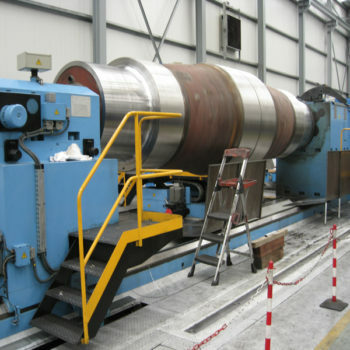 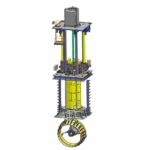 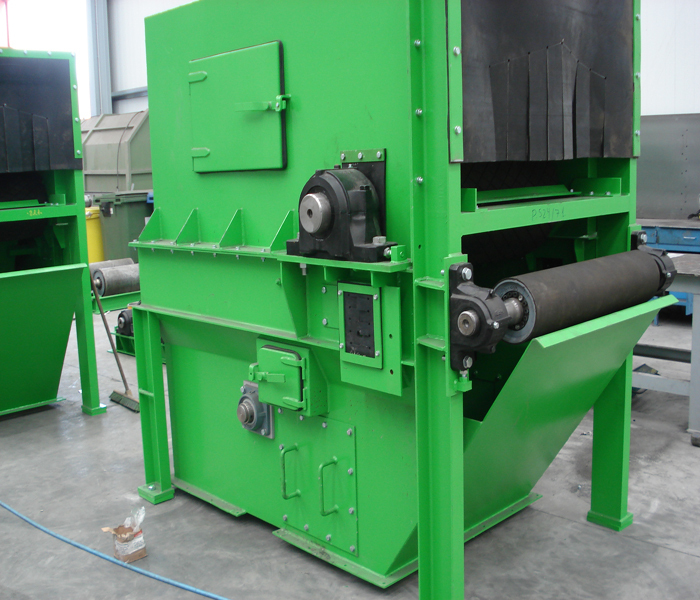 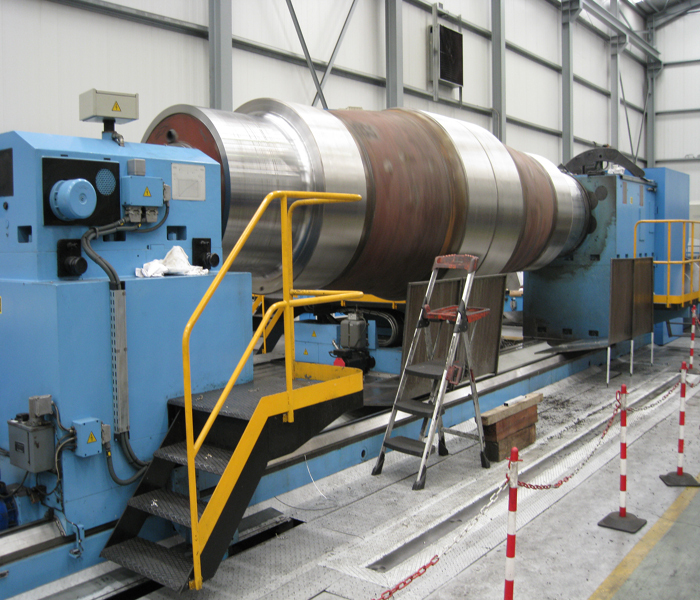 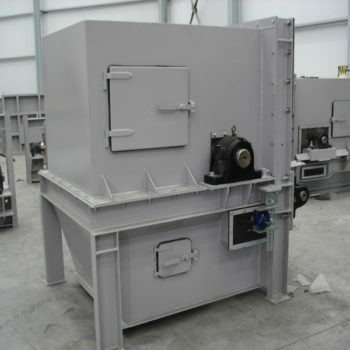 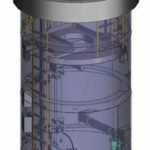 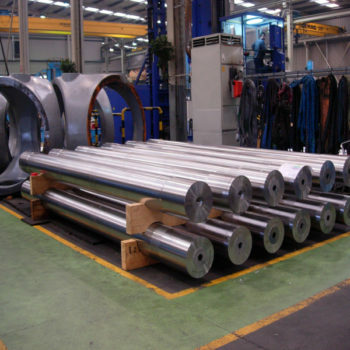 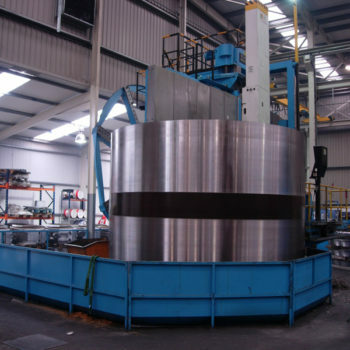 We supply mechanically welded equipment making the complete fabrication as well as various components of the main equipment, for industrial uses.